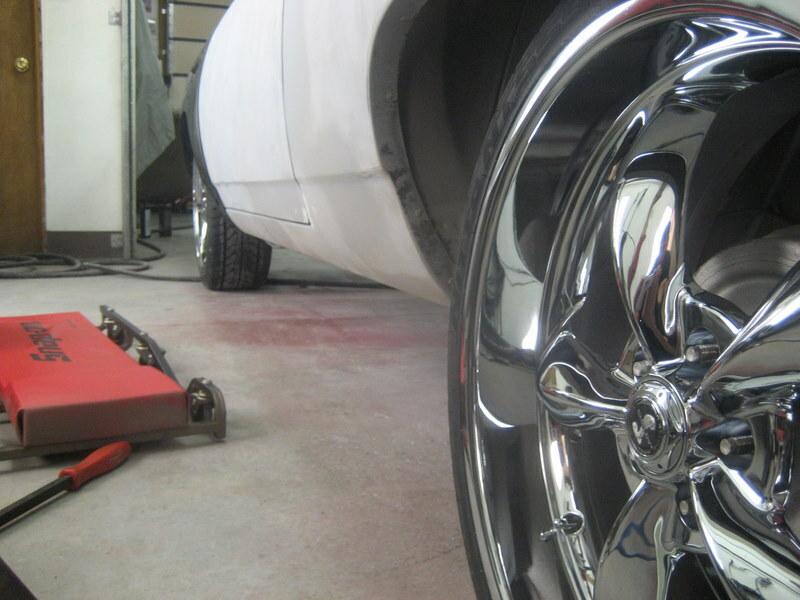 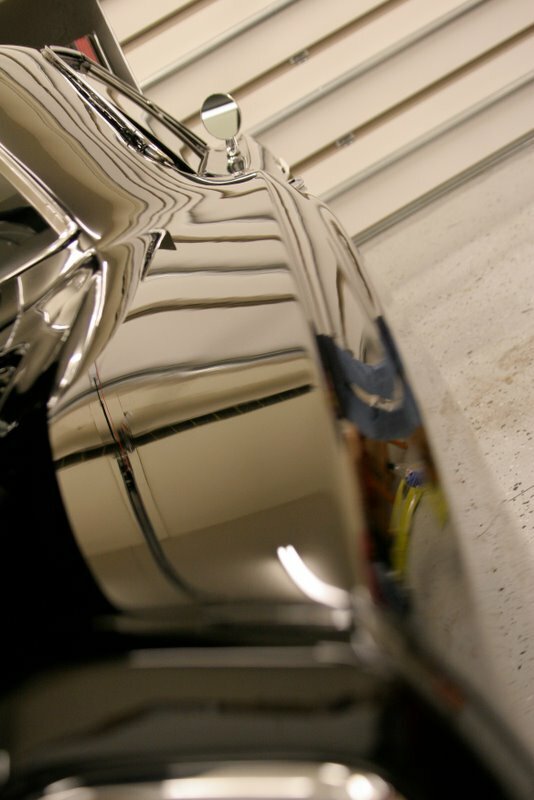 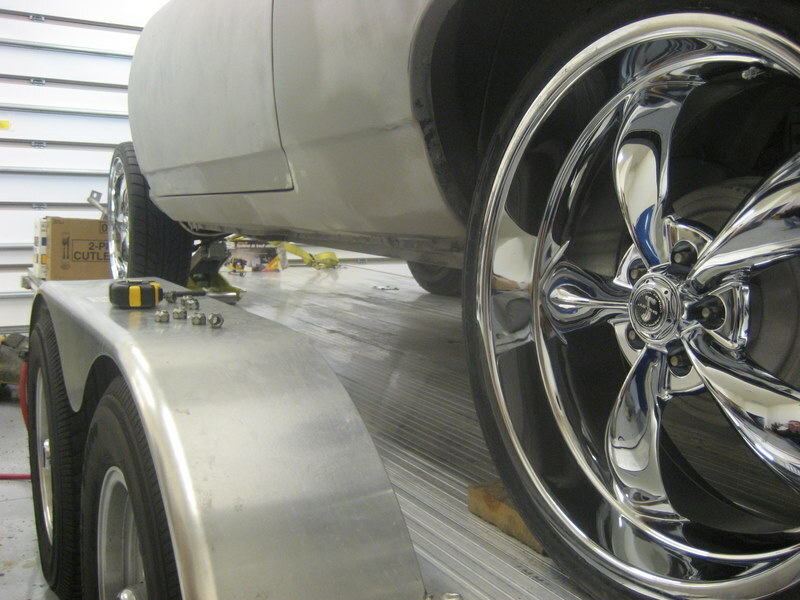 MIDWEST CUSTOMS & CHROME FEATURE PROJECT. 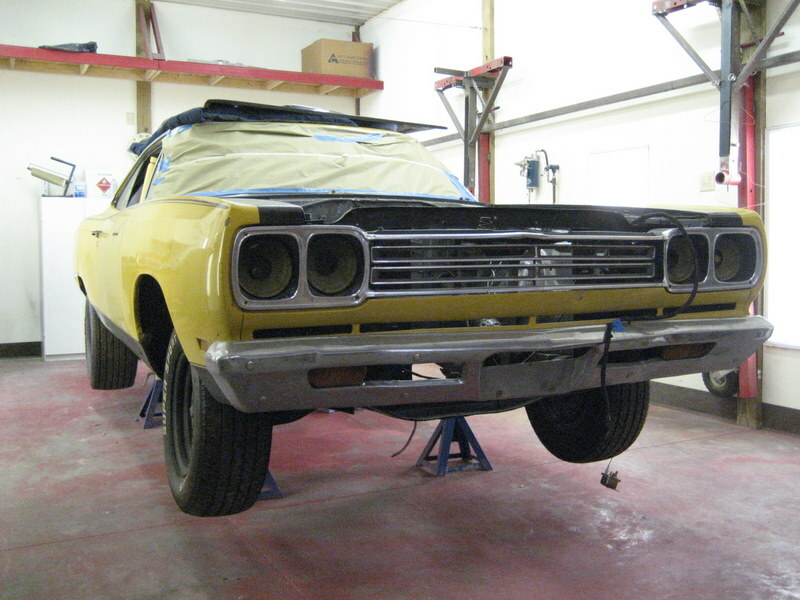 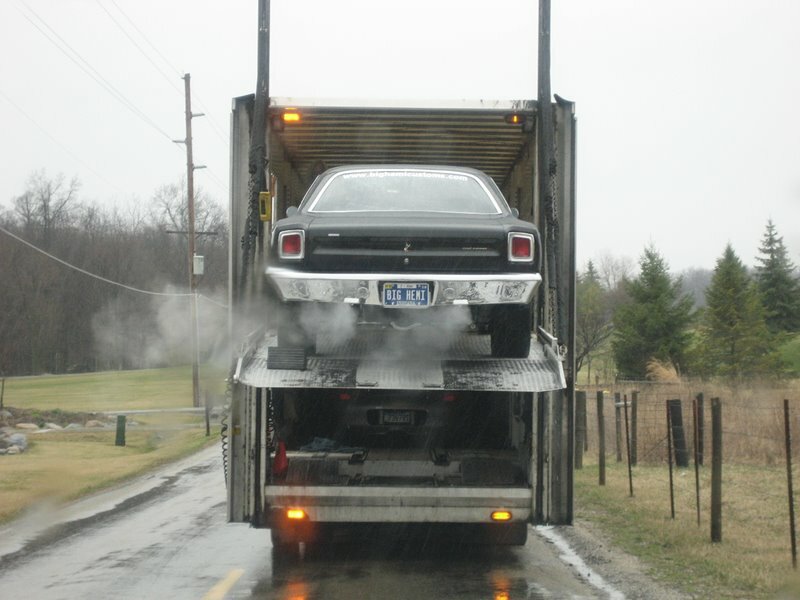 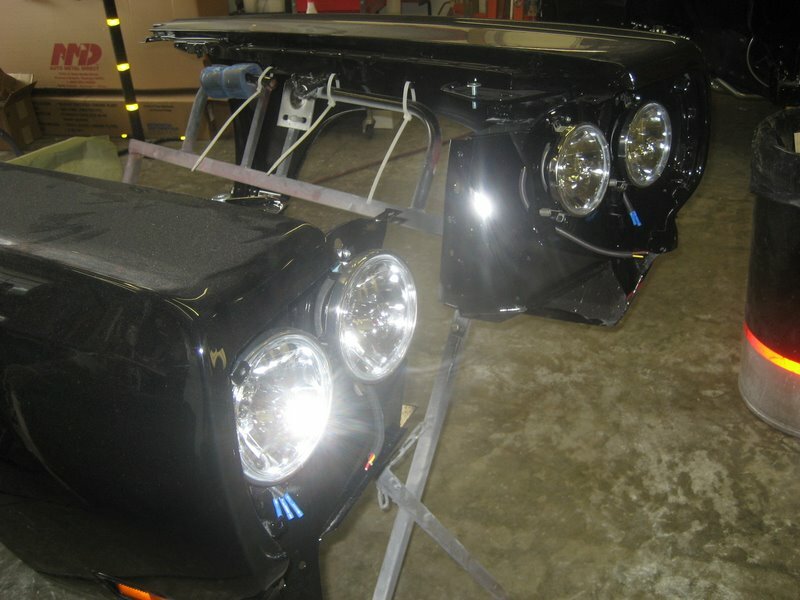 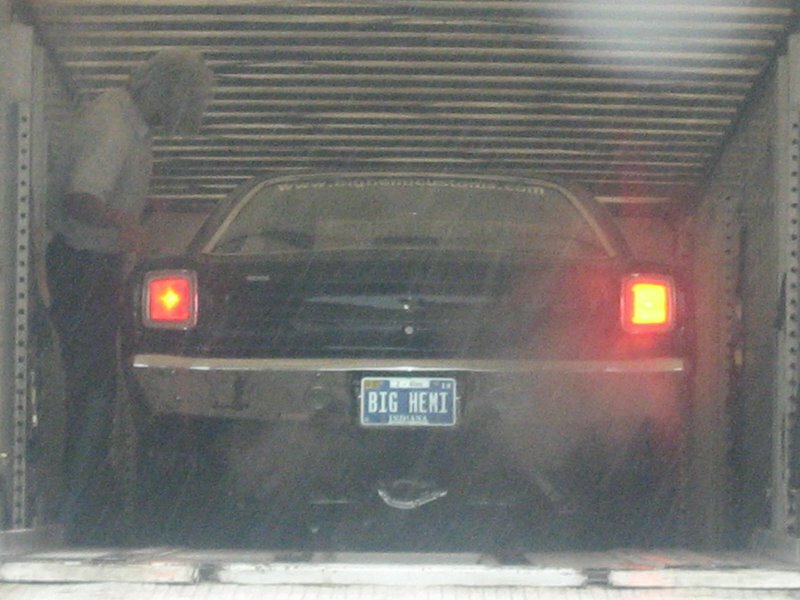 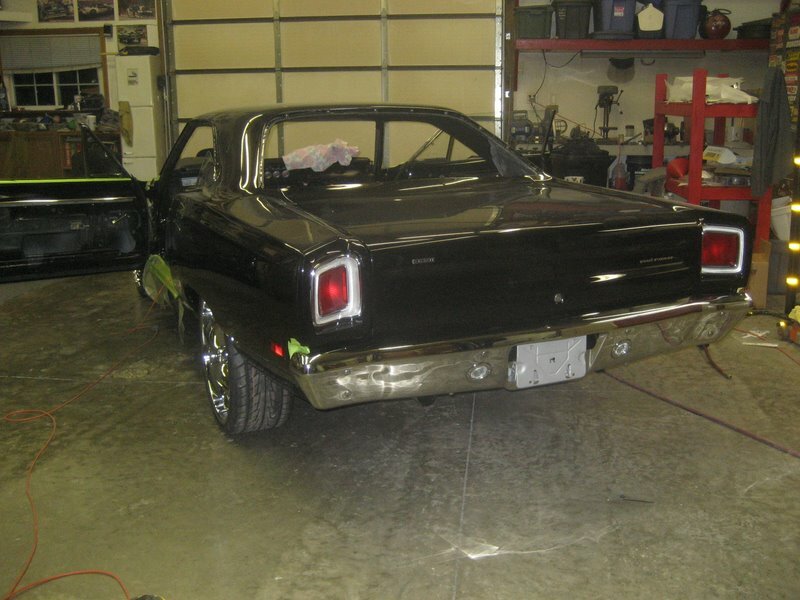 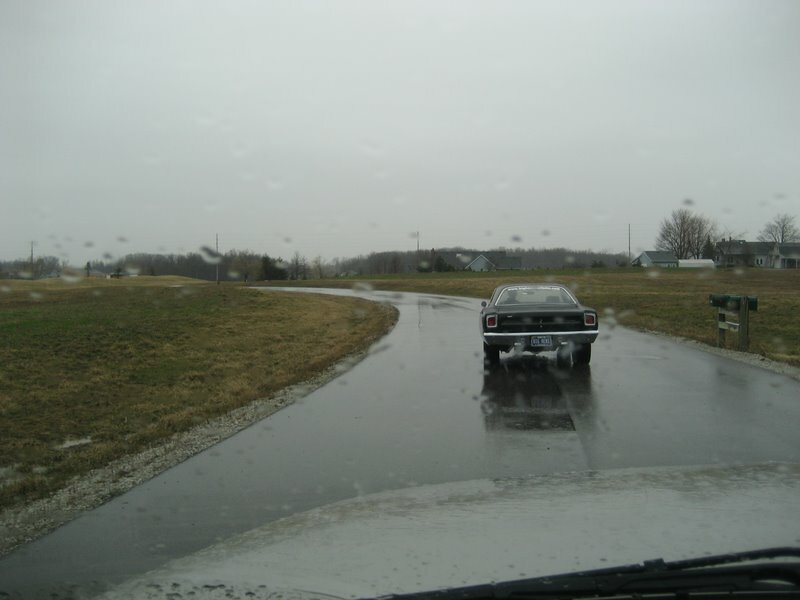 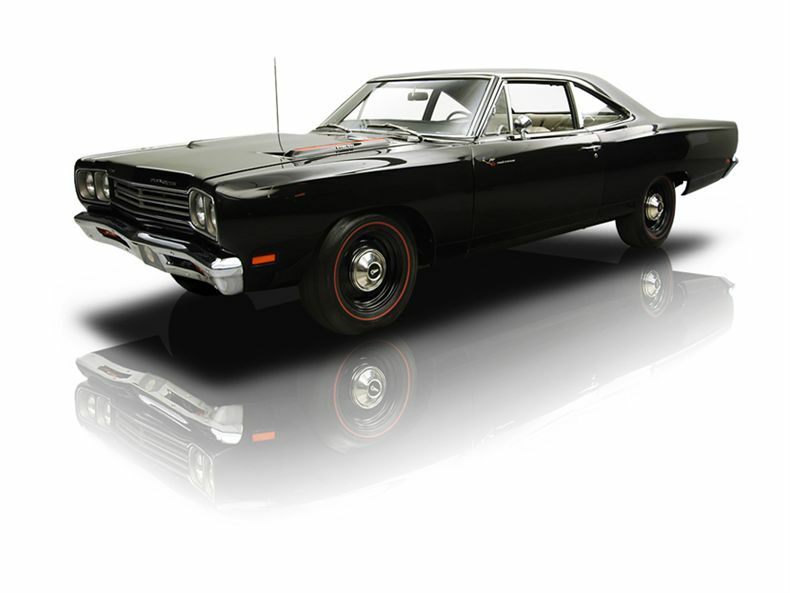 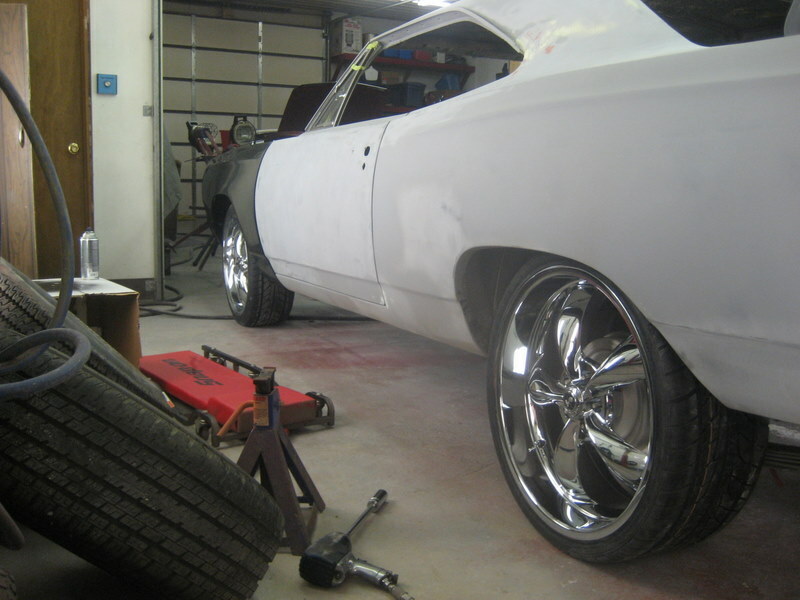 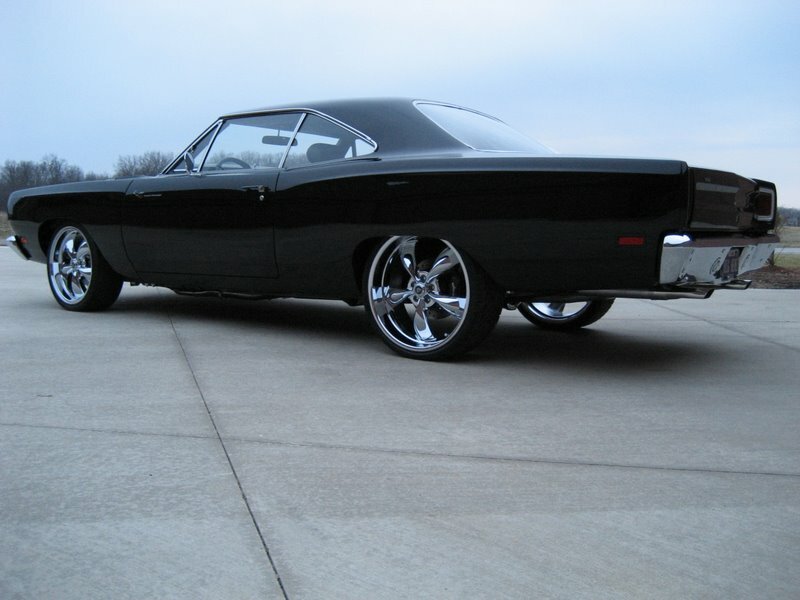 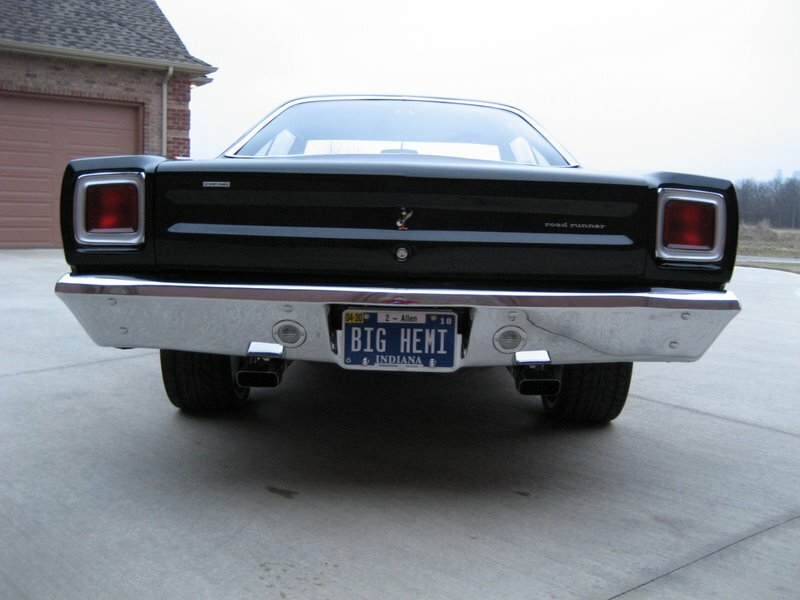 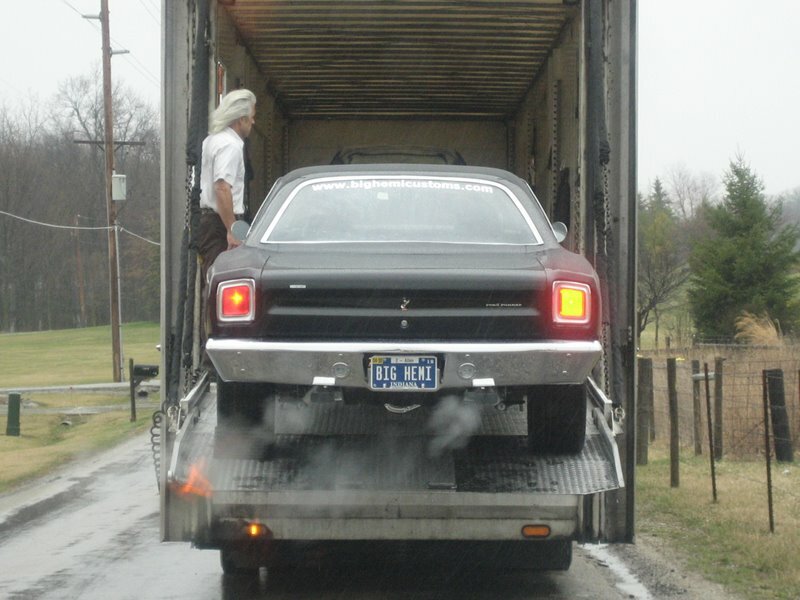 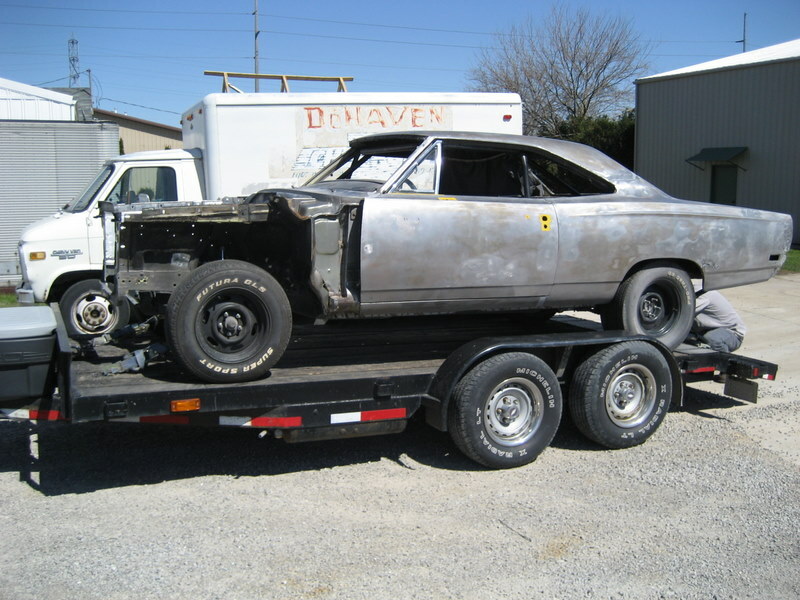 FULLY RESTORE AND TRANSFORM THIS CAR INTO THE BADDEST 1969 HEMI PRO TOURING ROADRUNNER ON THE PLANET. 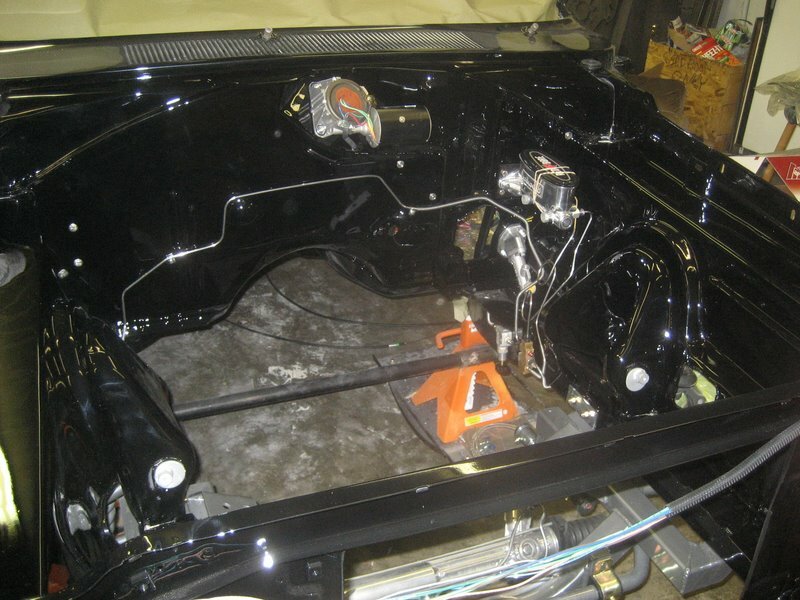 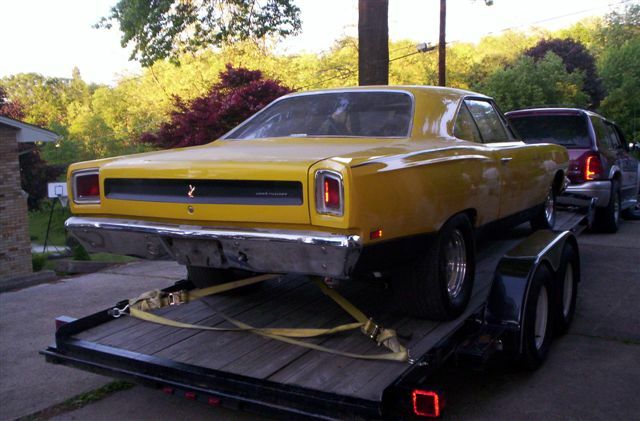 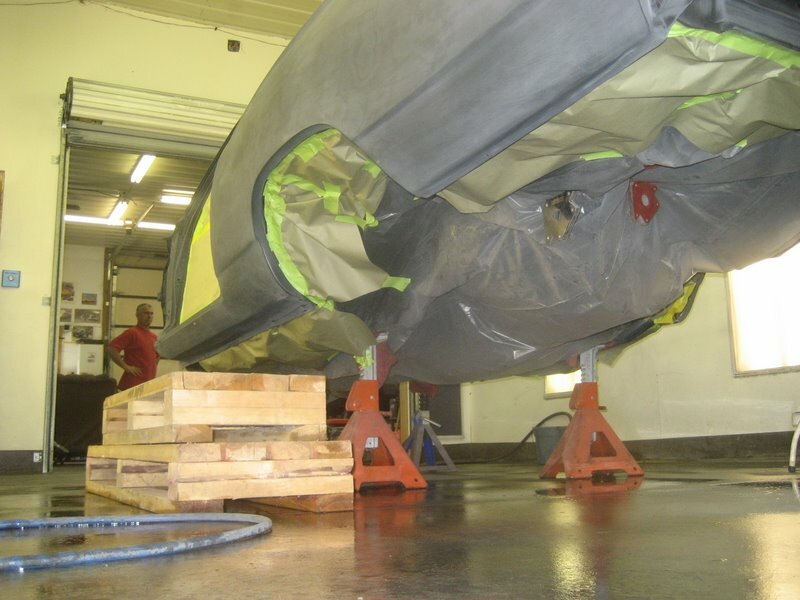 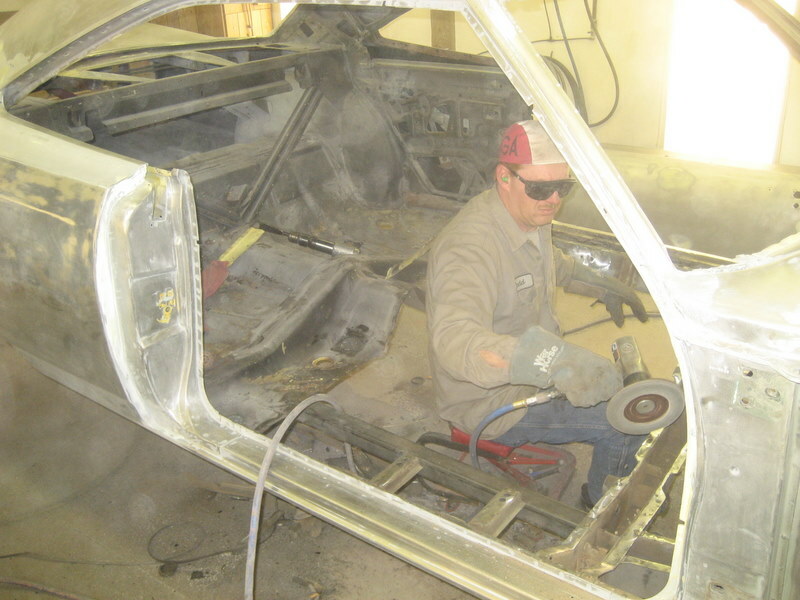 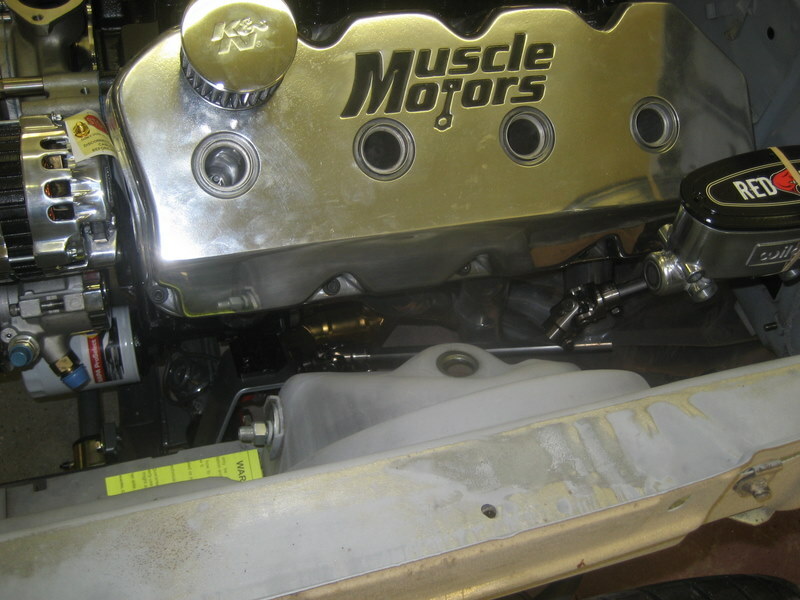 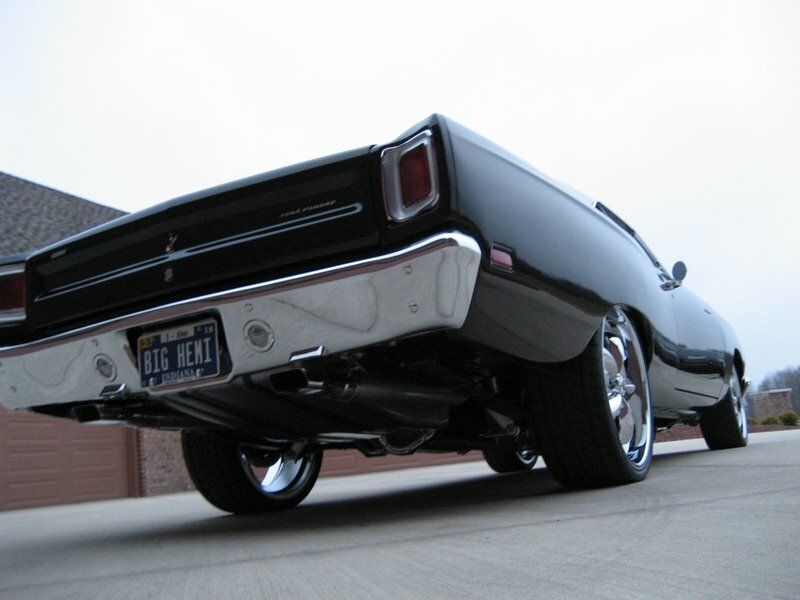 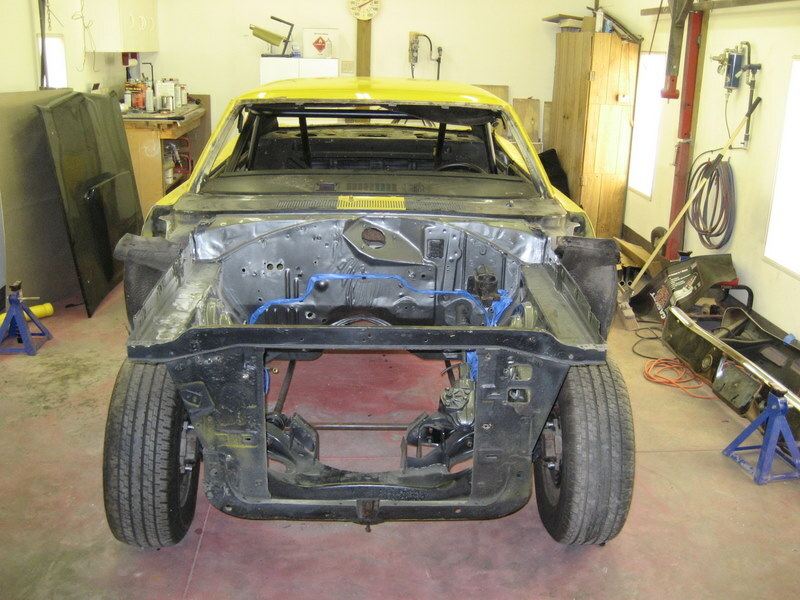 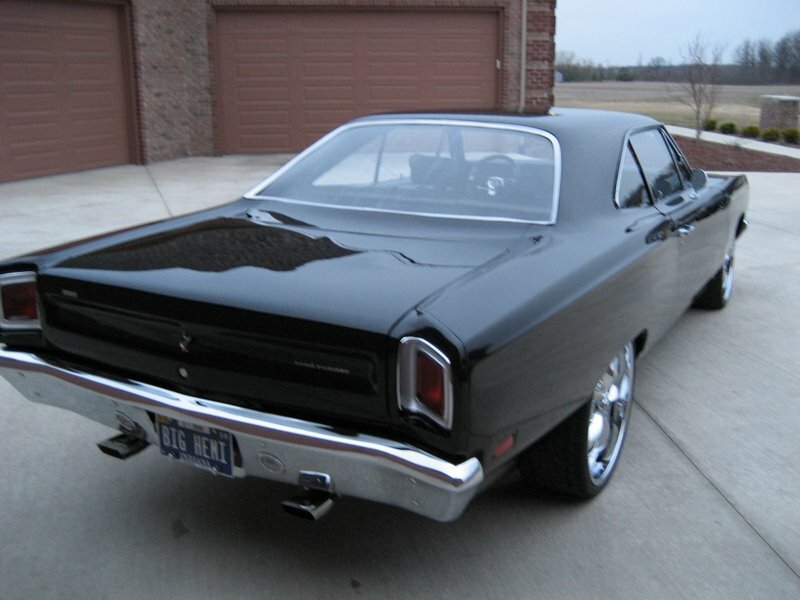 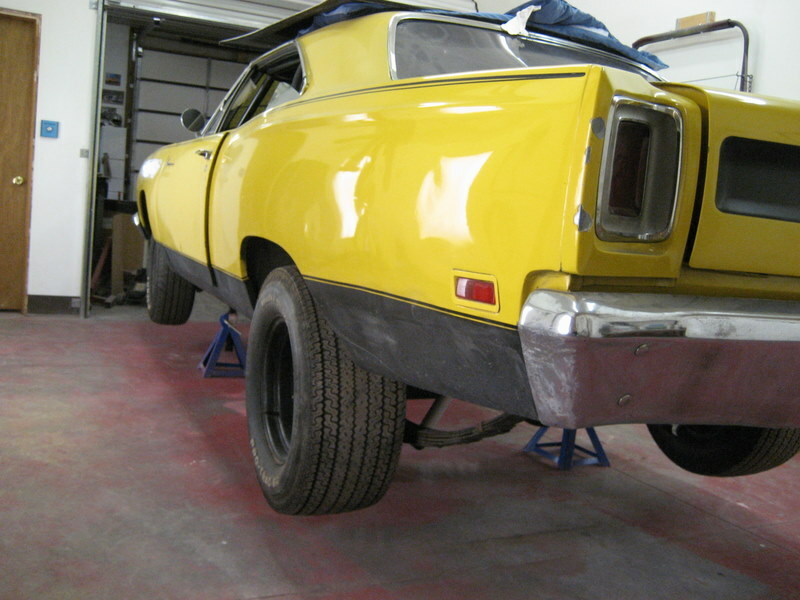 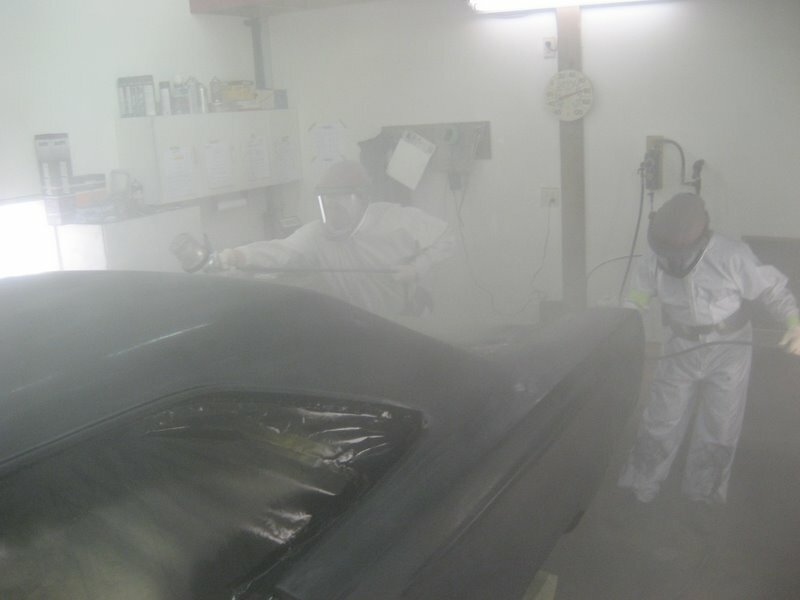 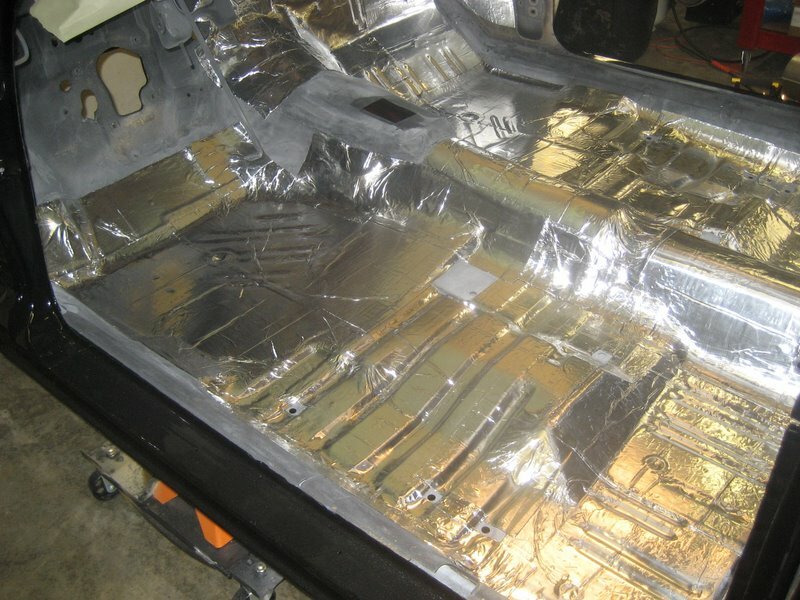 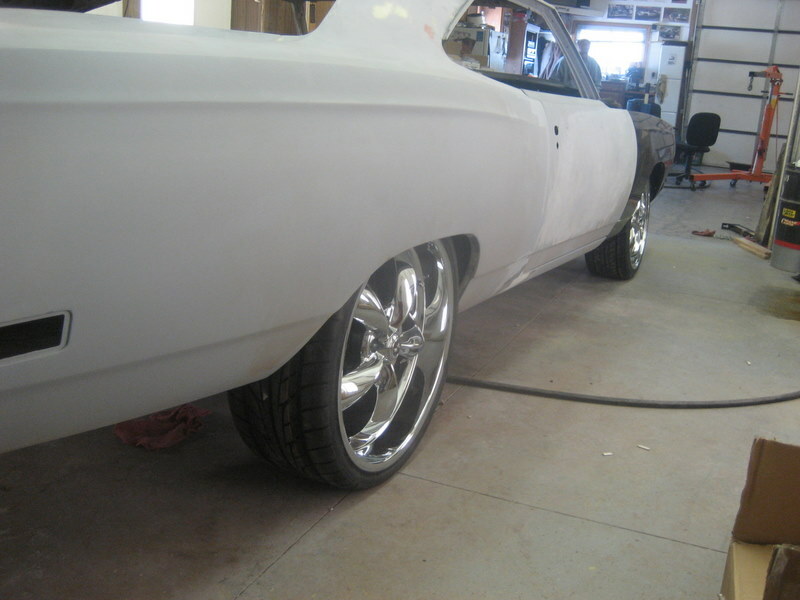 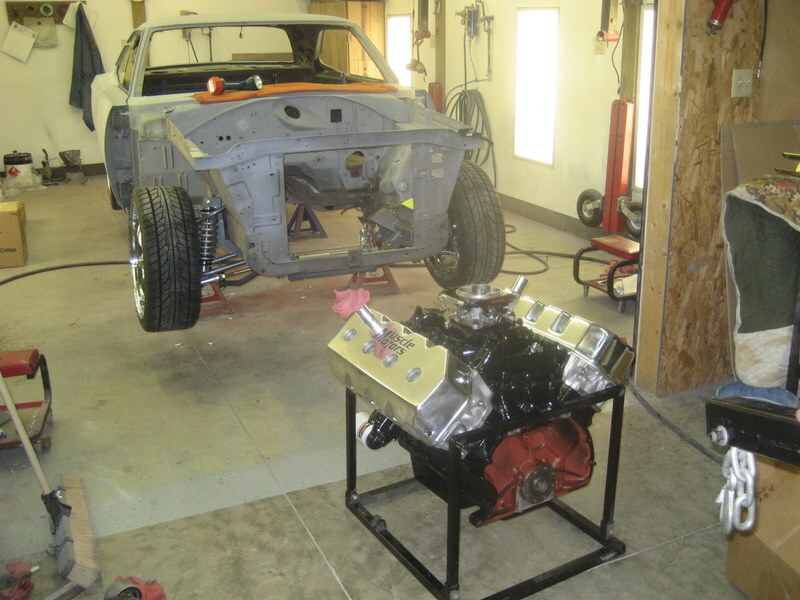 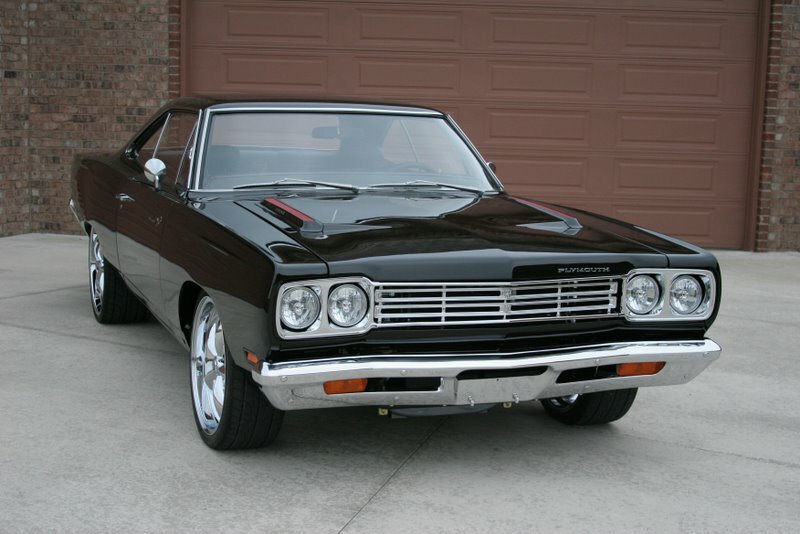 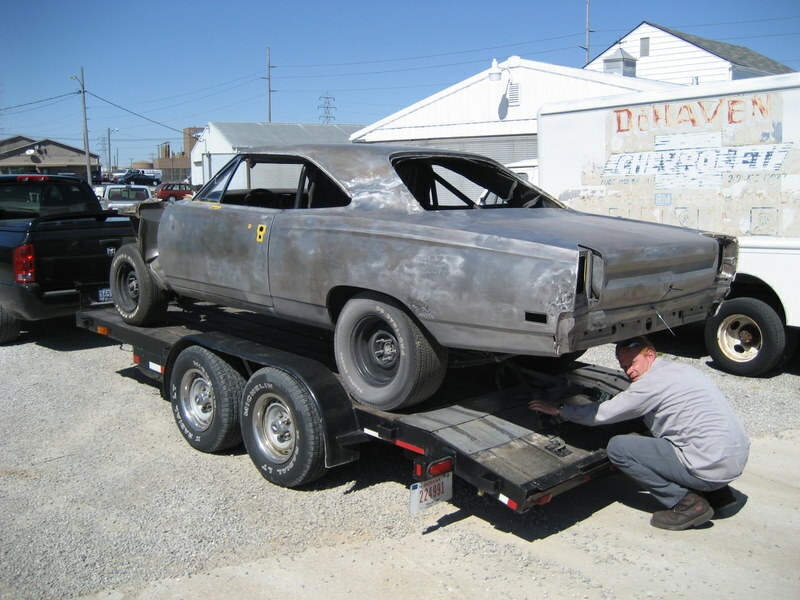 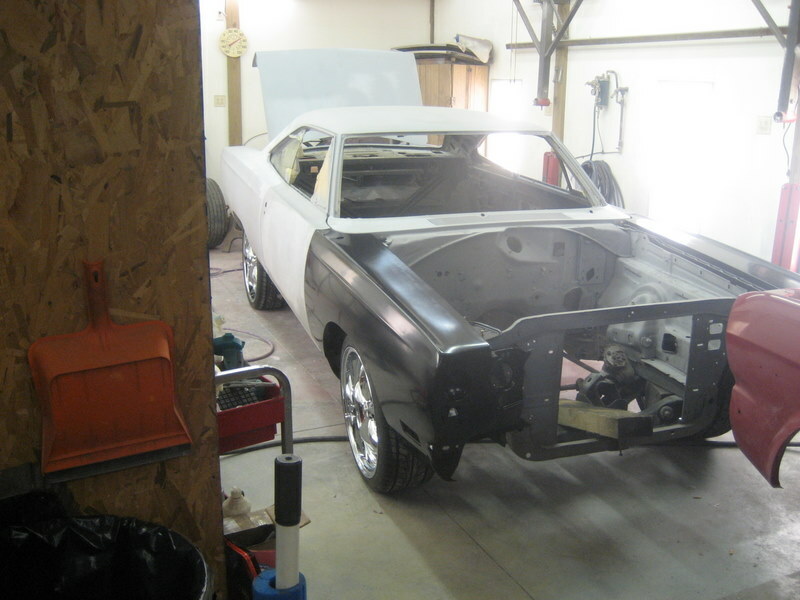 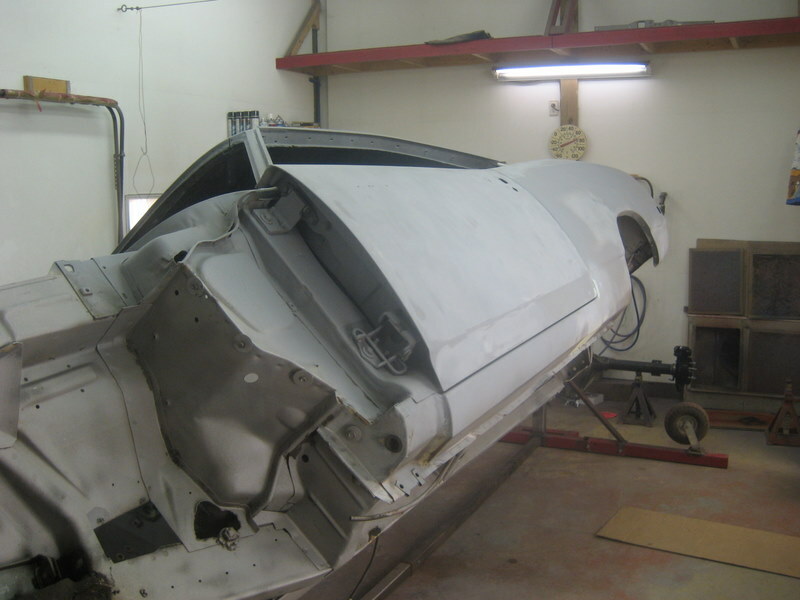 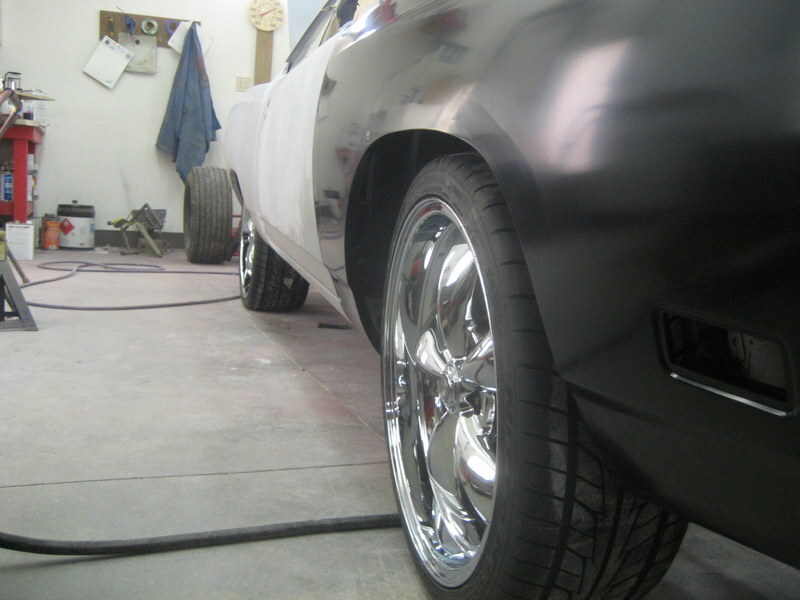 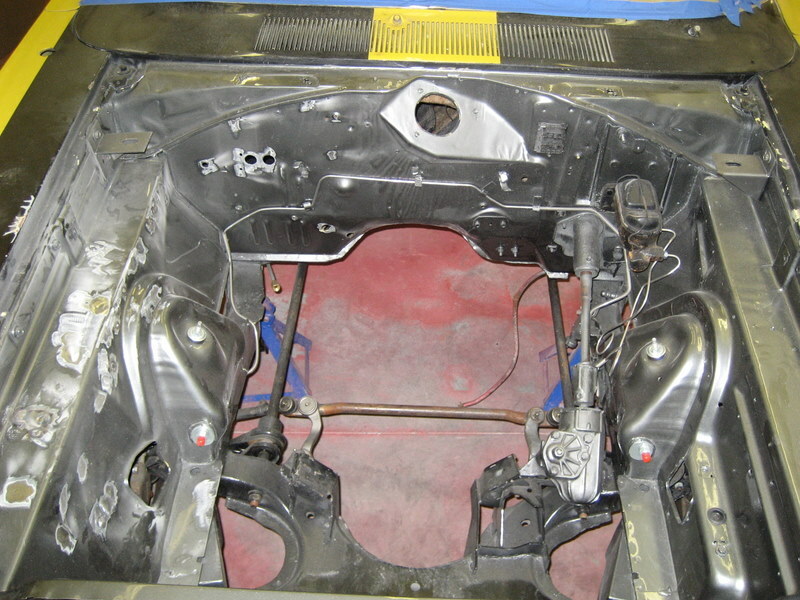 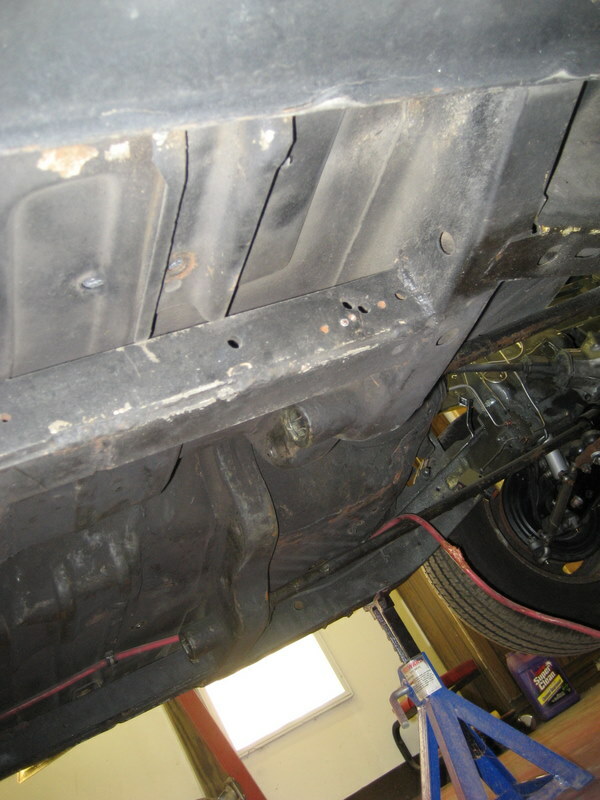 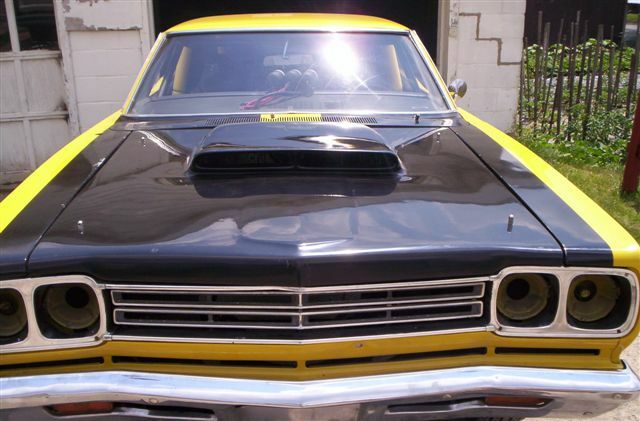 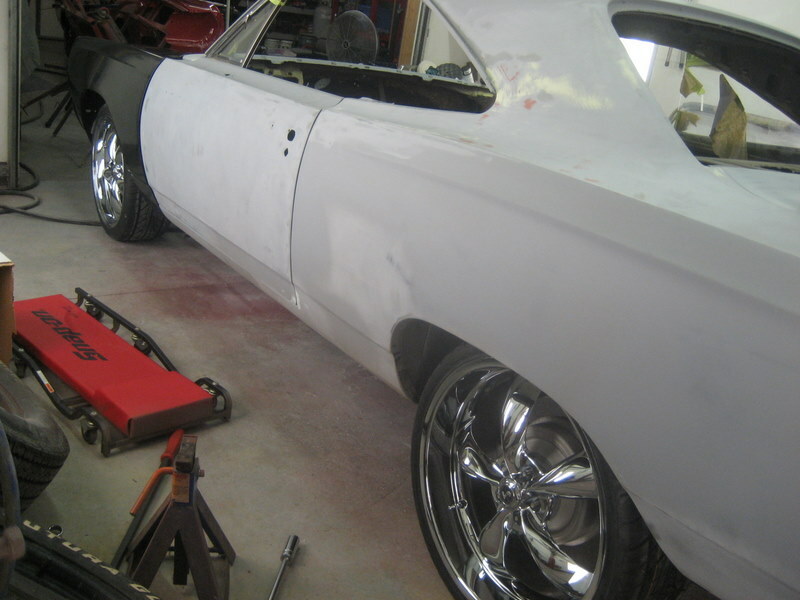 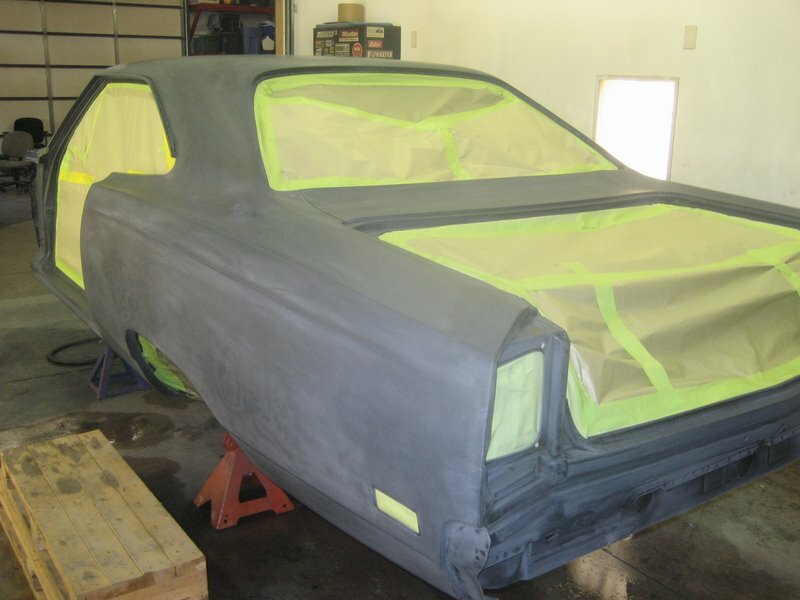 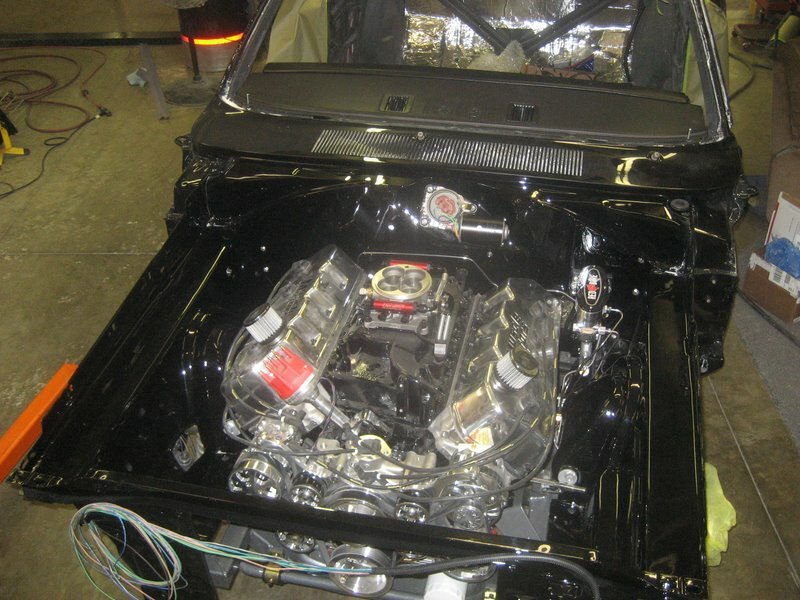 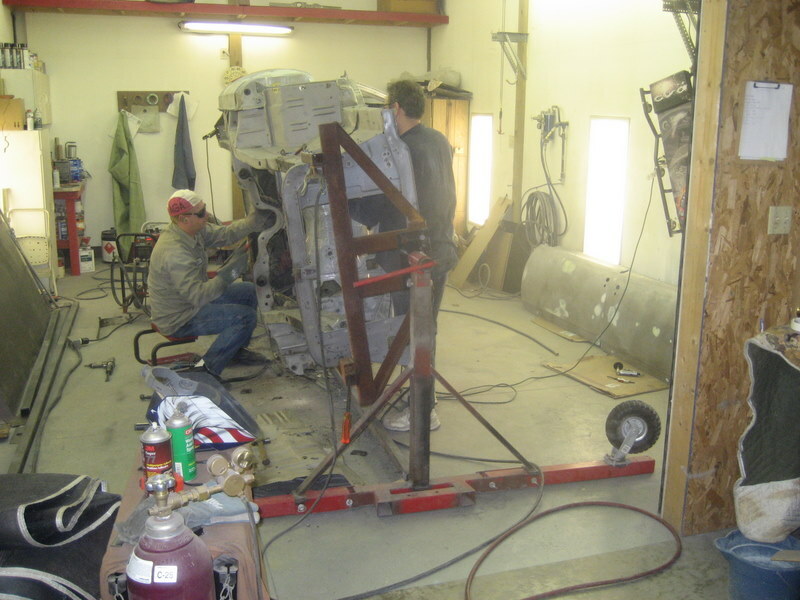 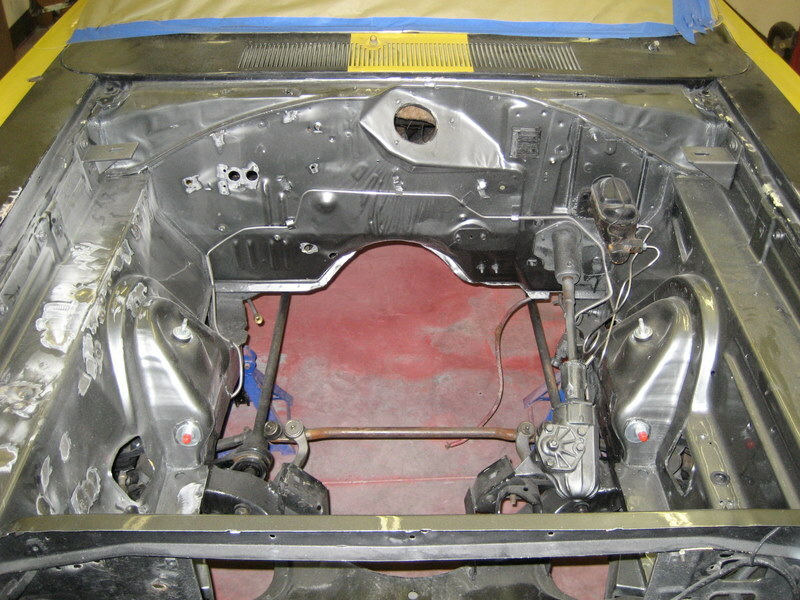 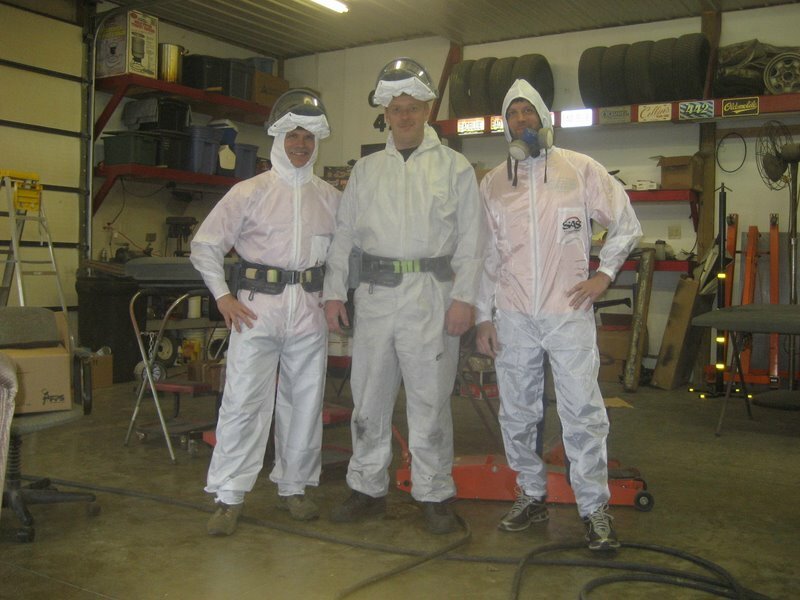 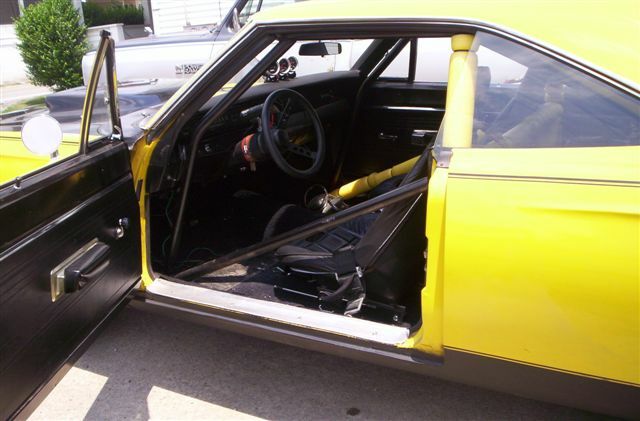 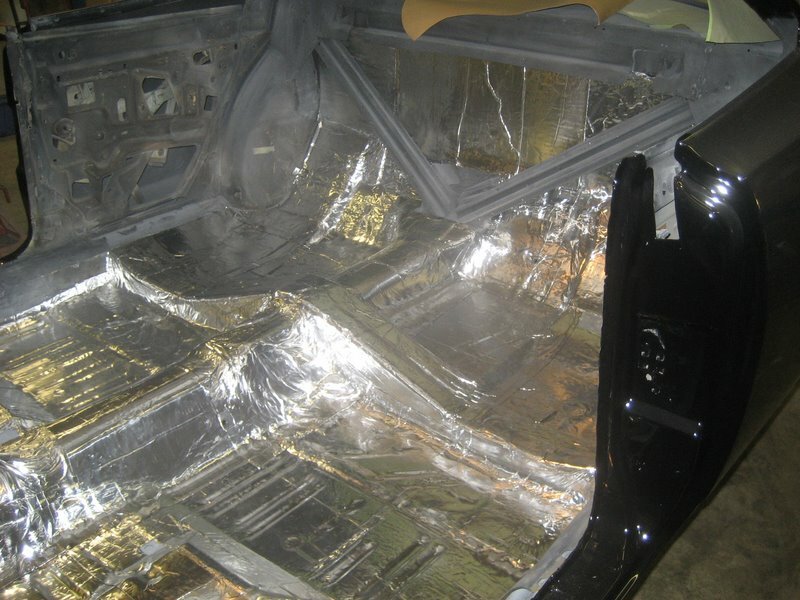 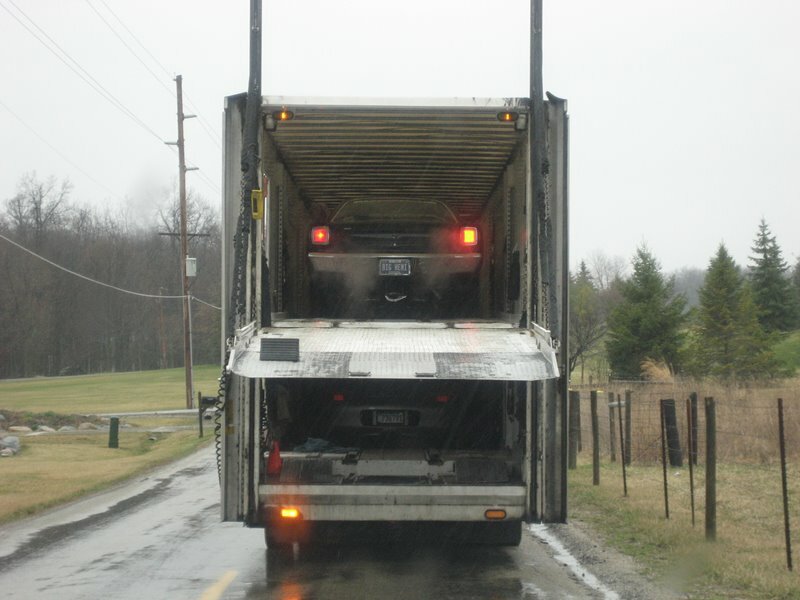 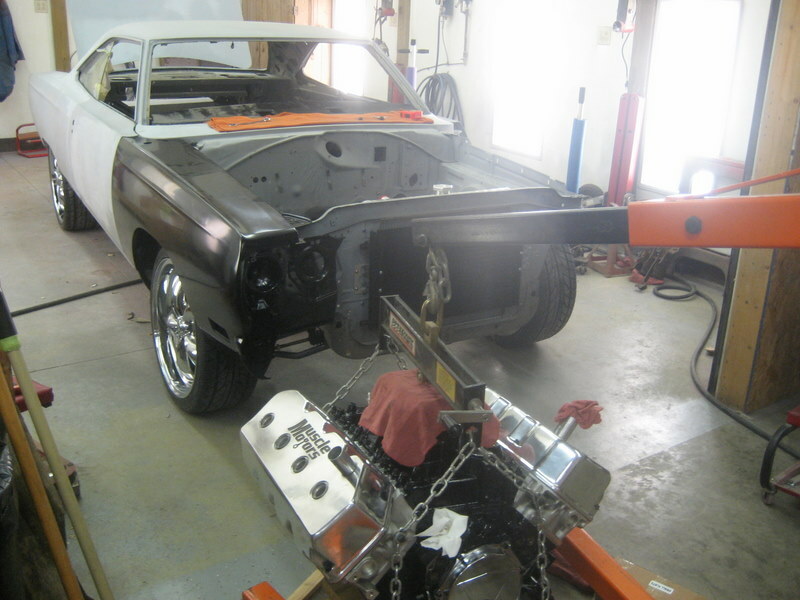 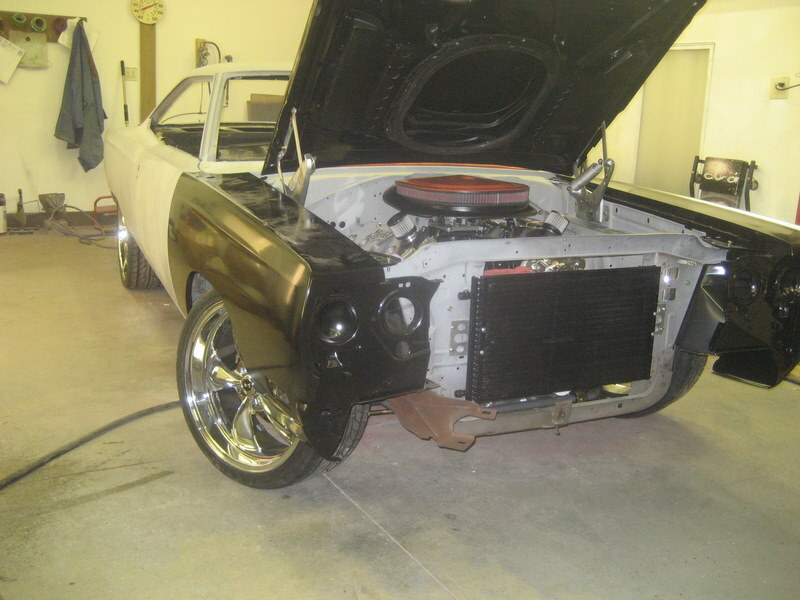 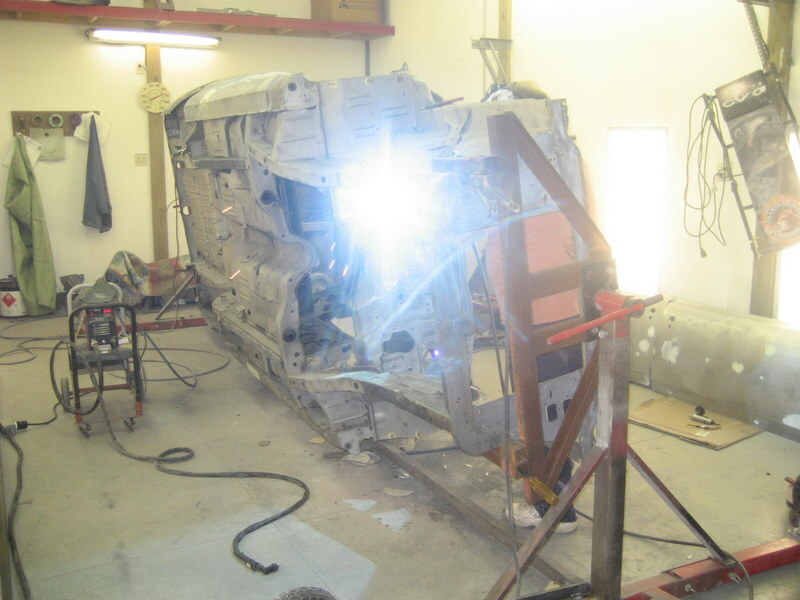 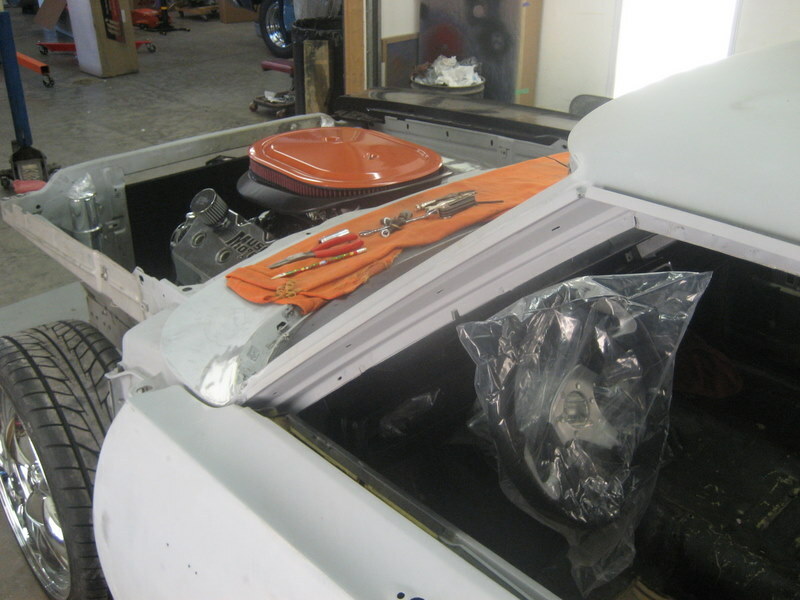 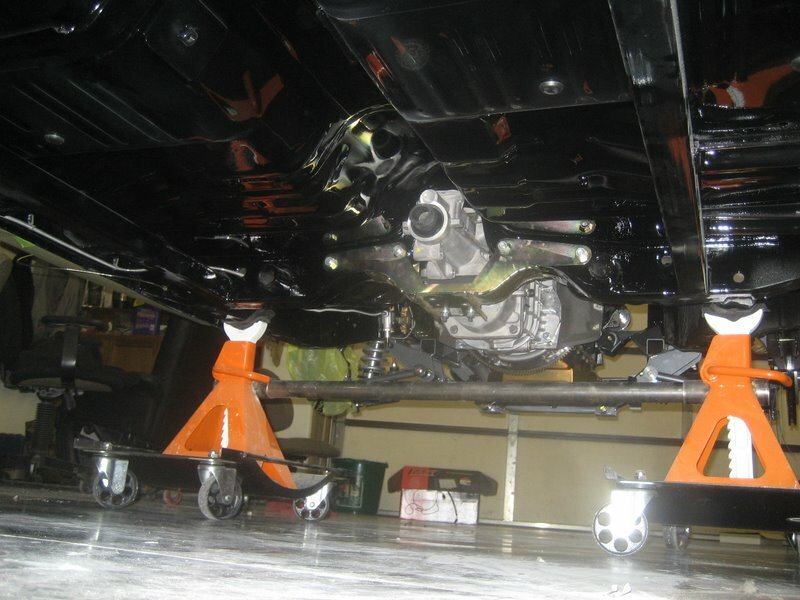 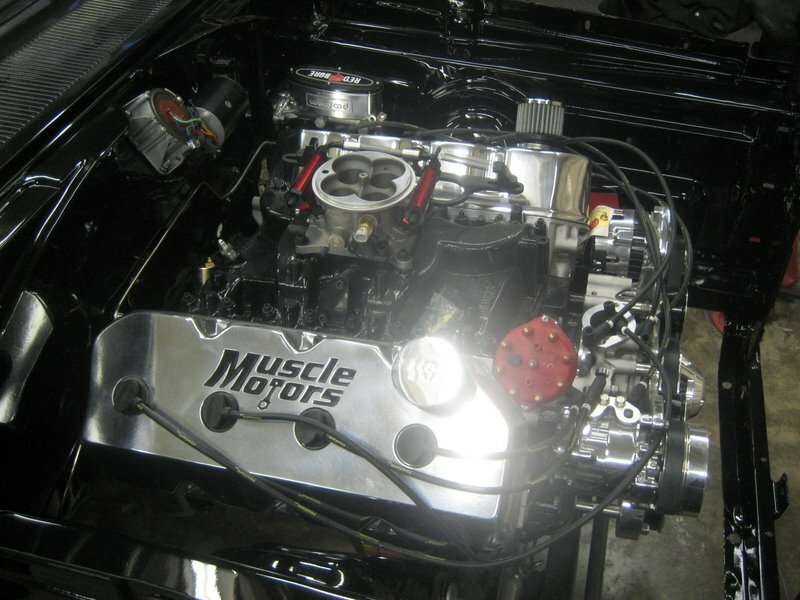 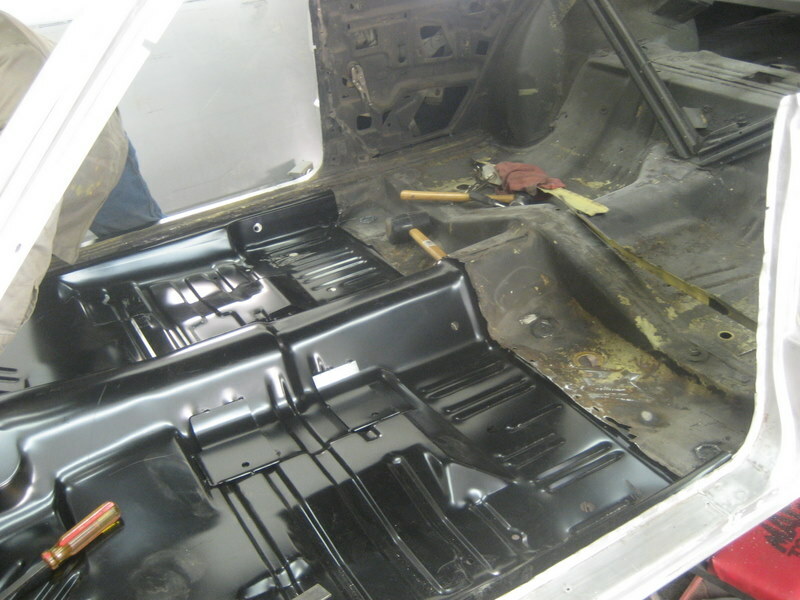 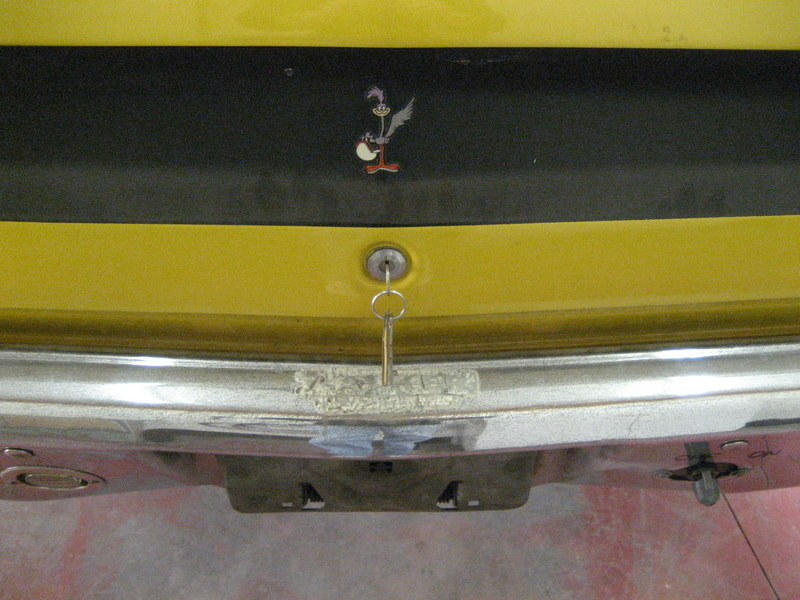 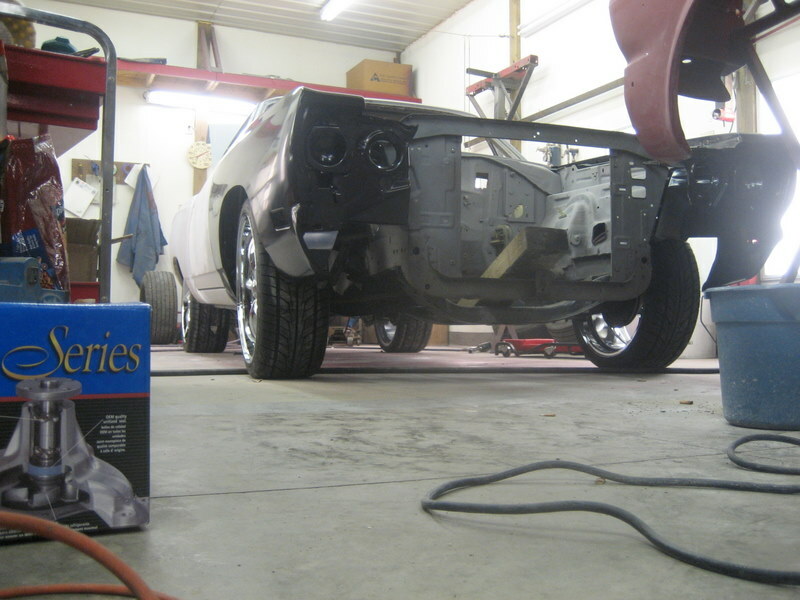 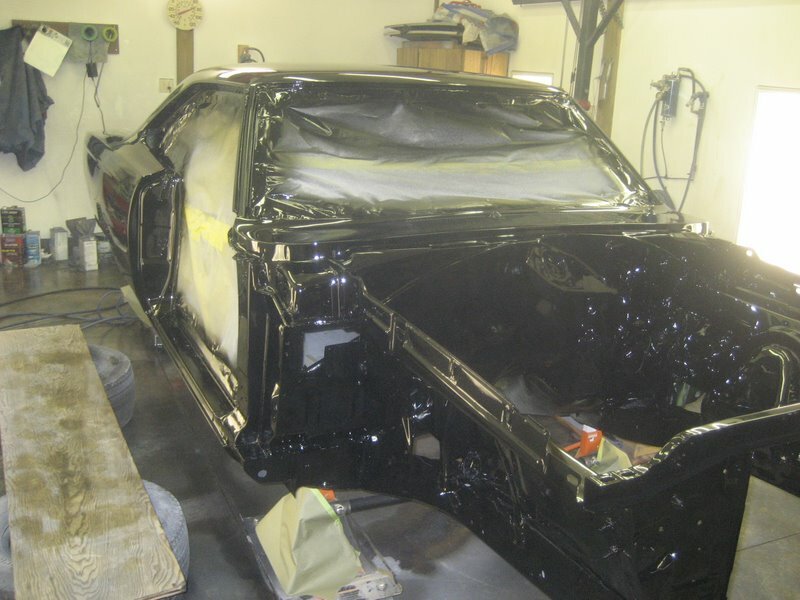 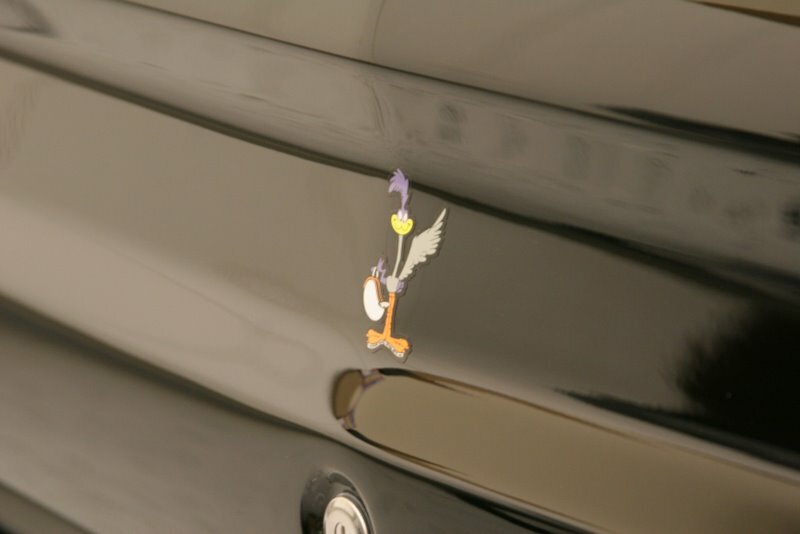 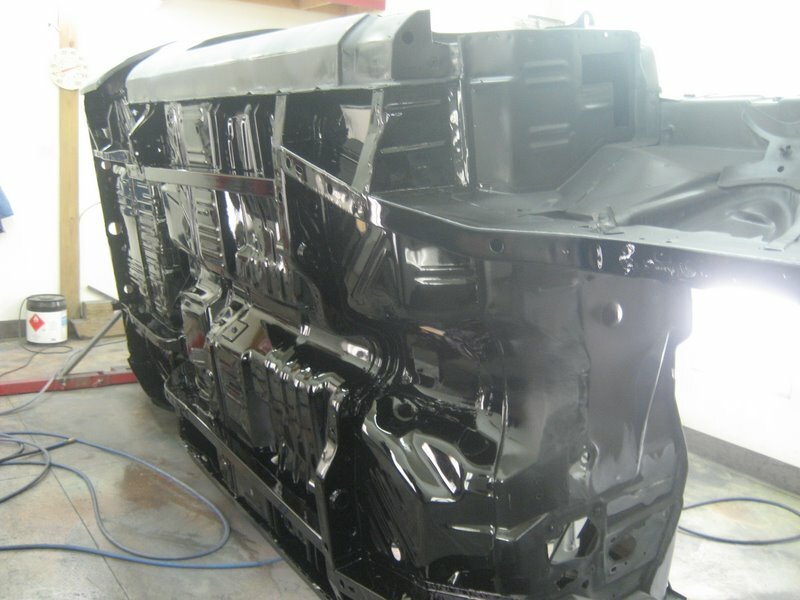 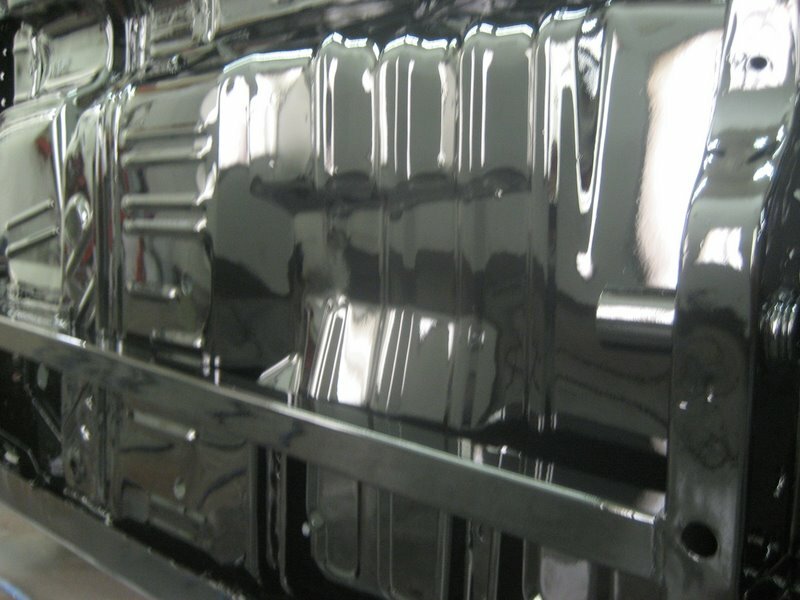 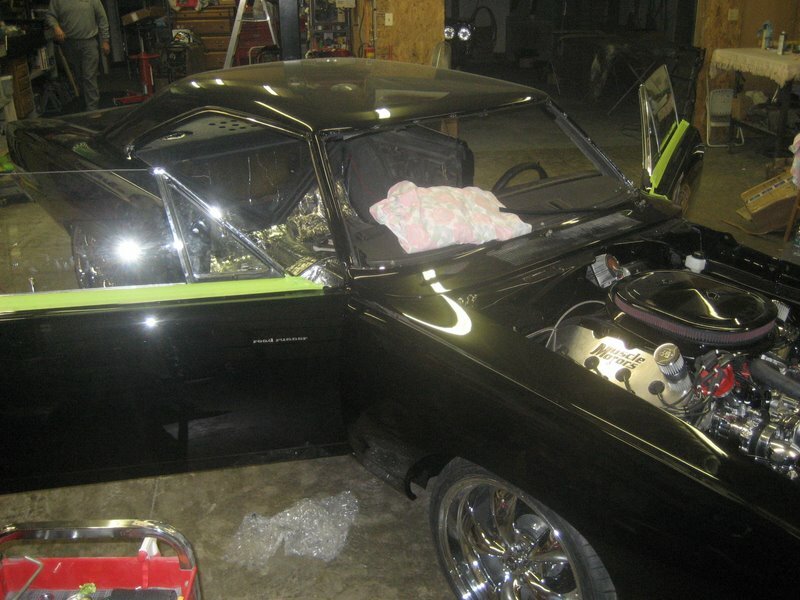 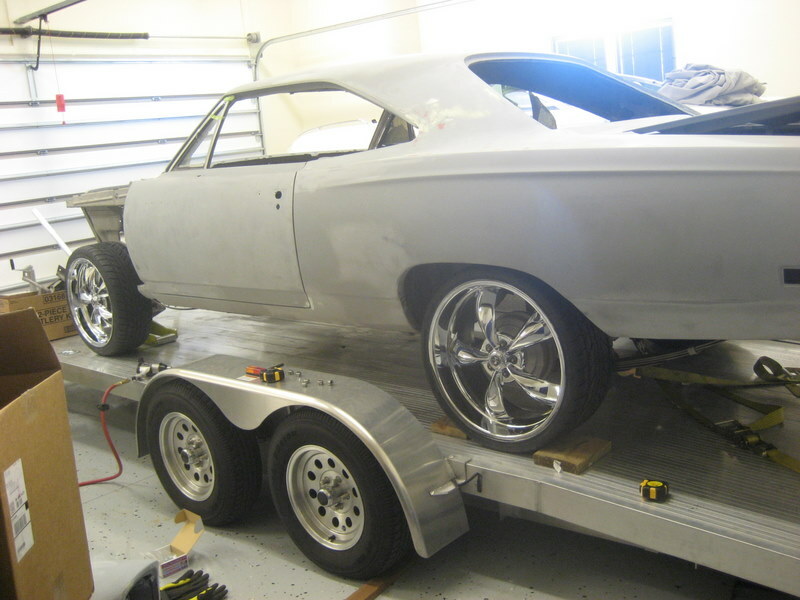 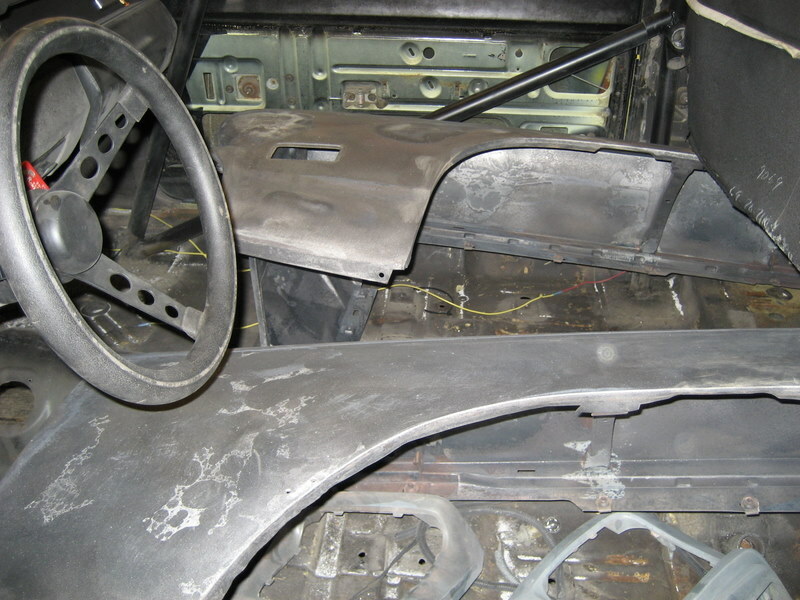 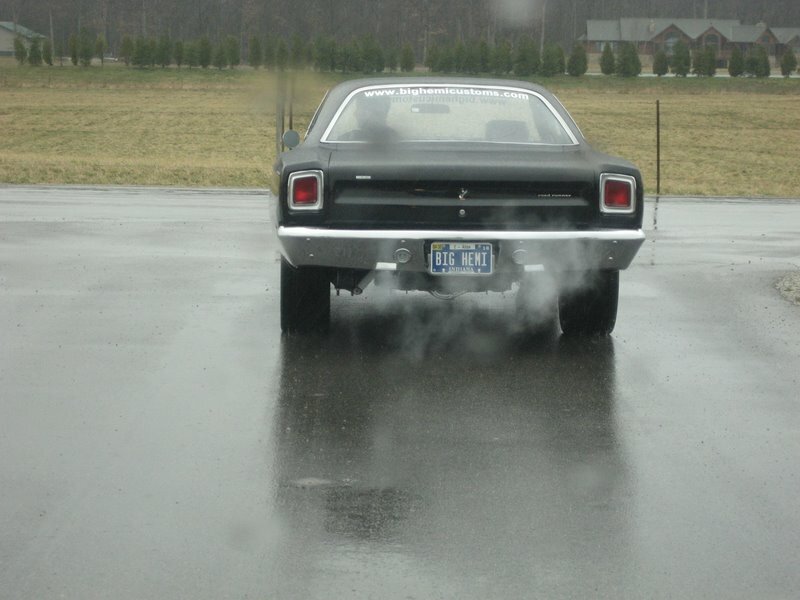 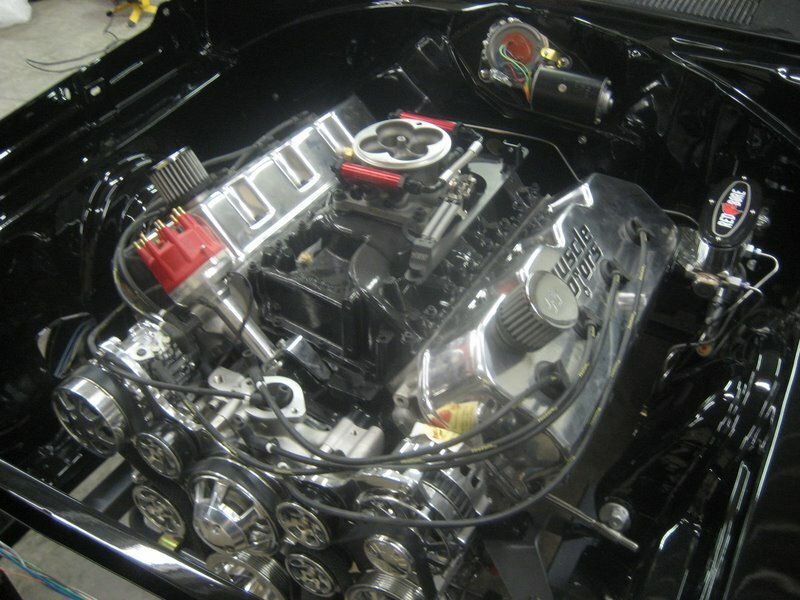 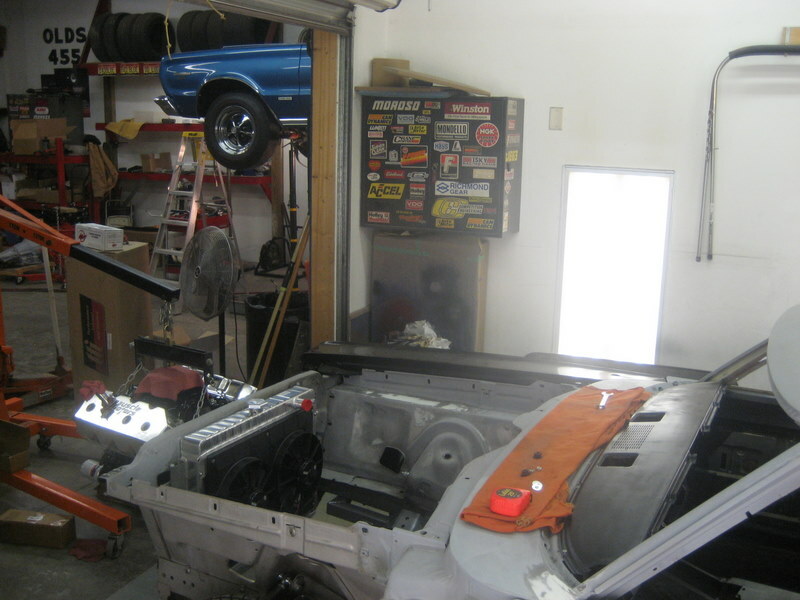 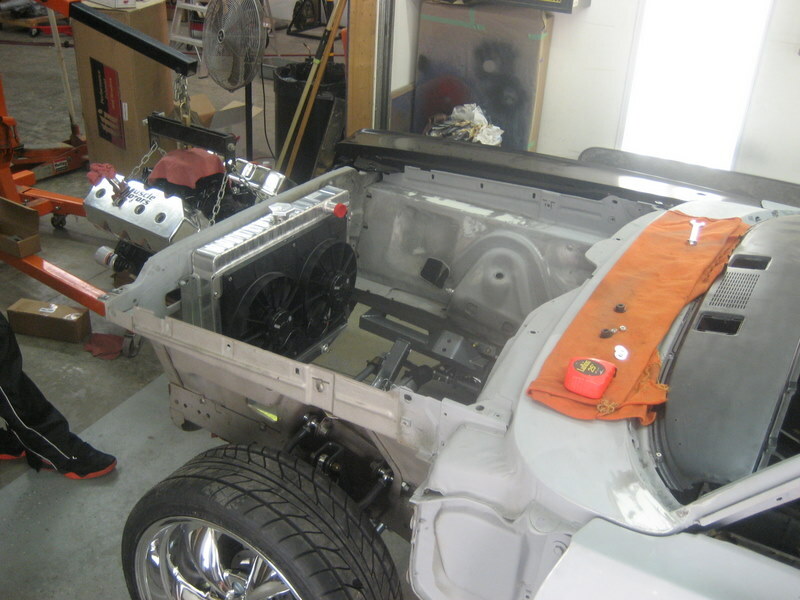 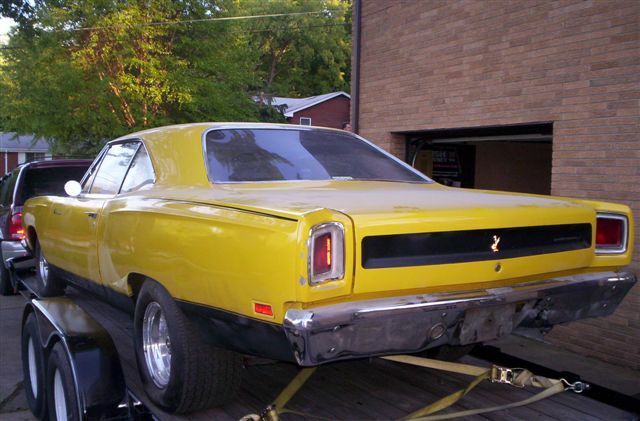 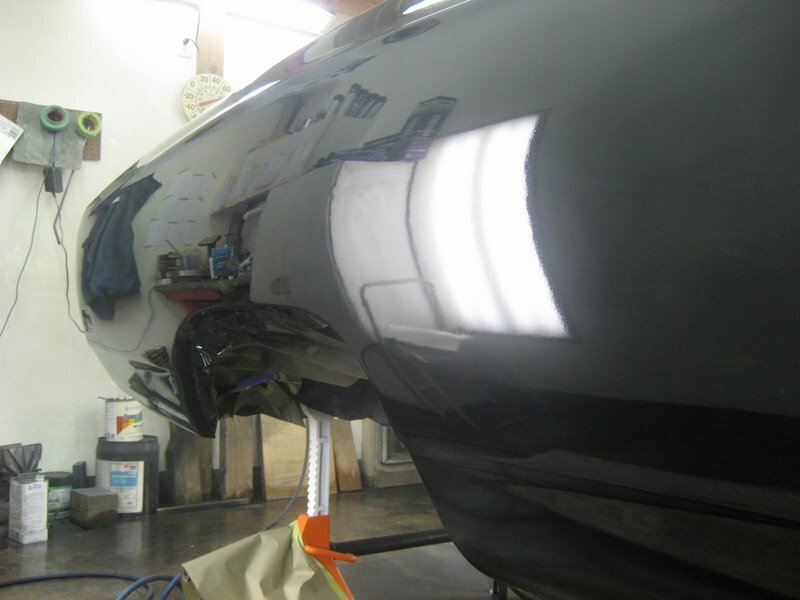 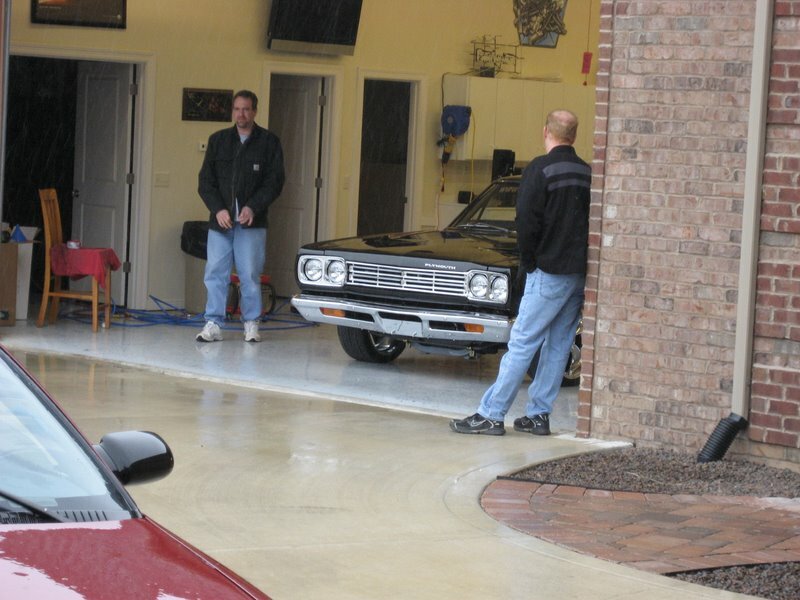 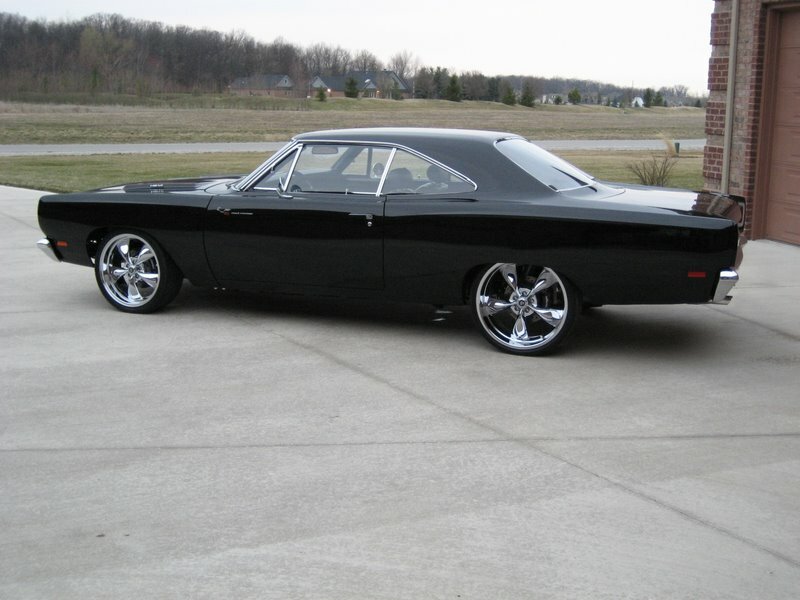 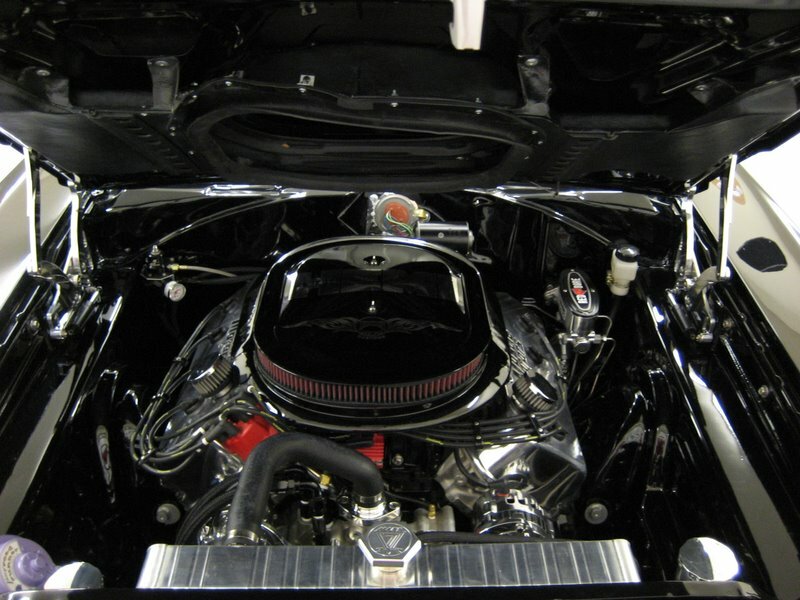 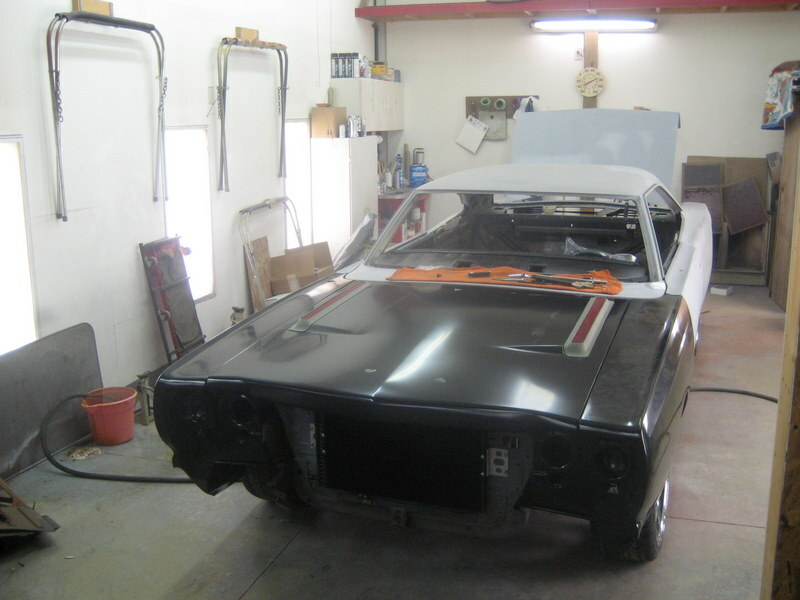 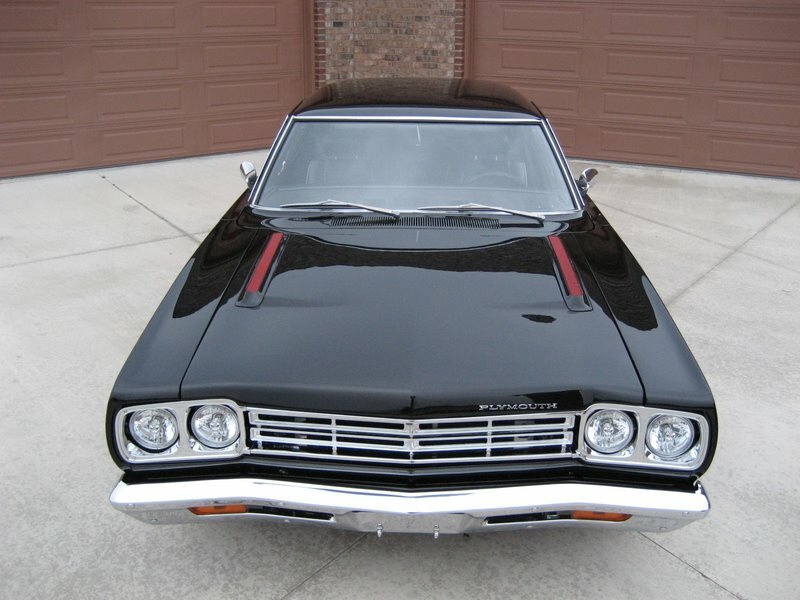 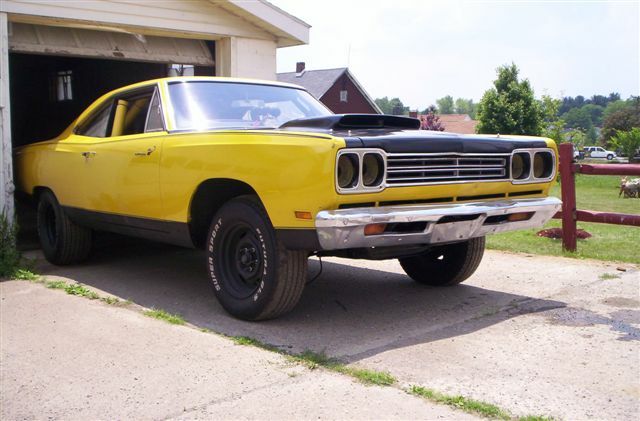 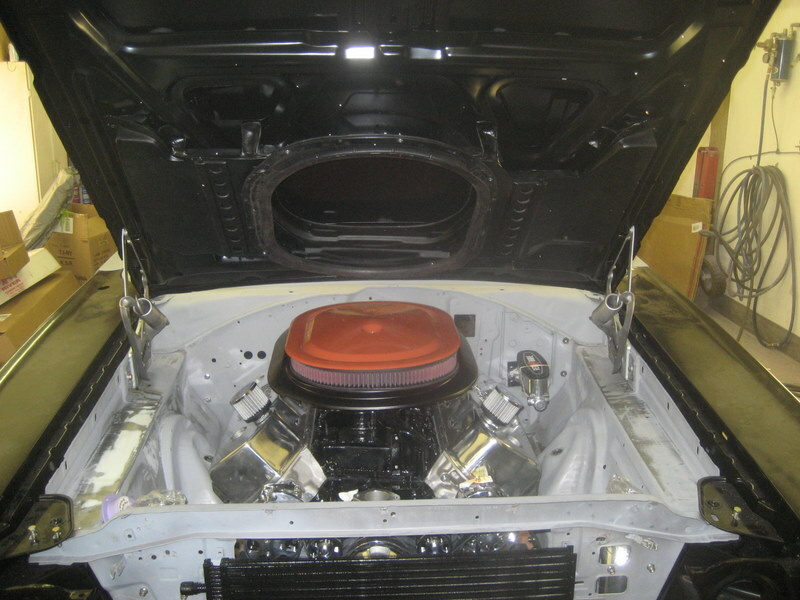 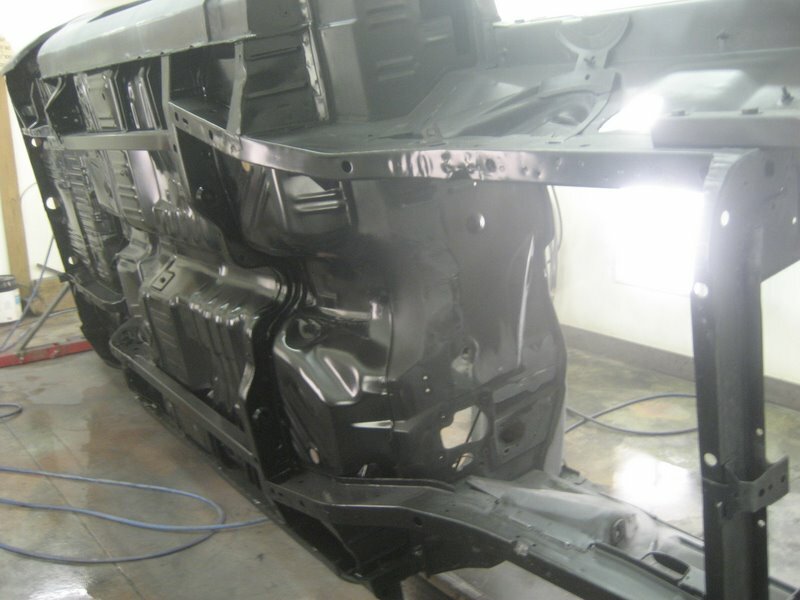 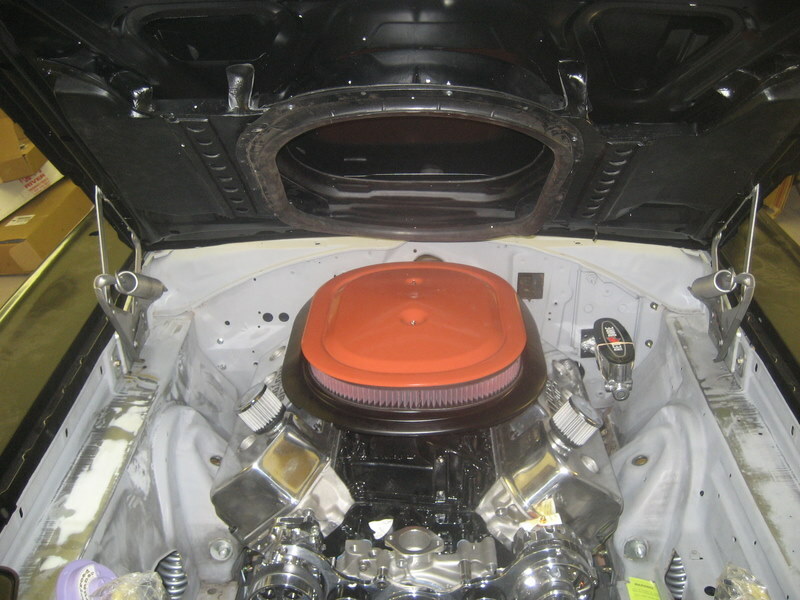 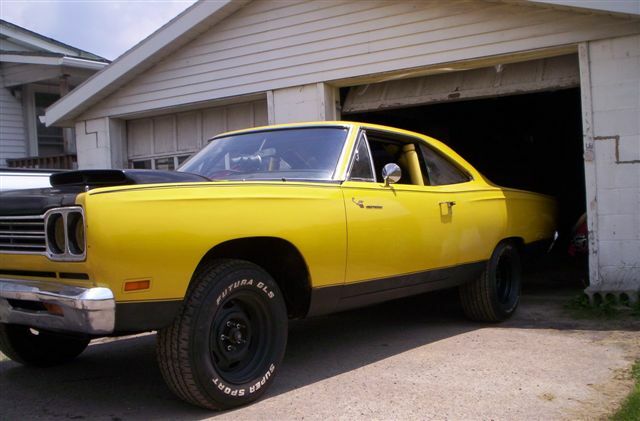 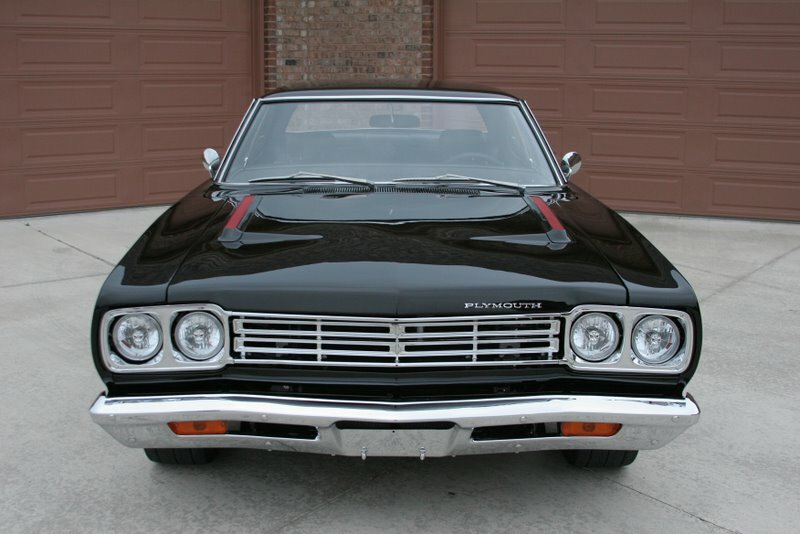 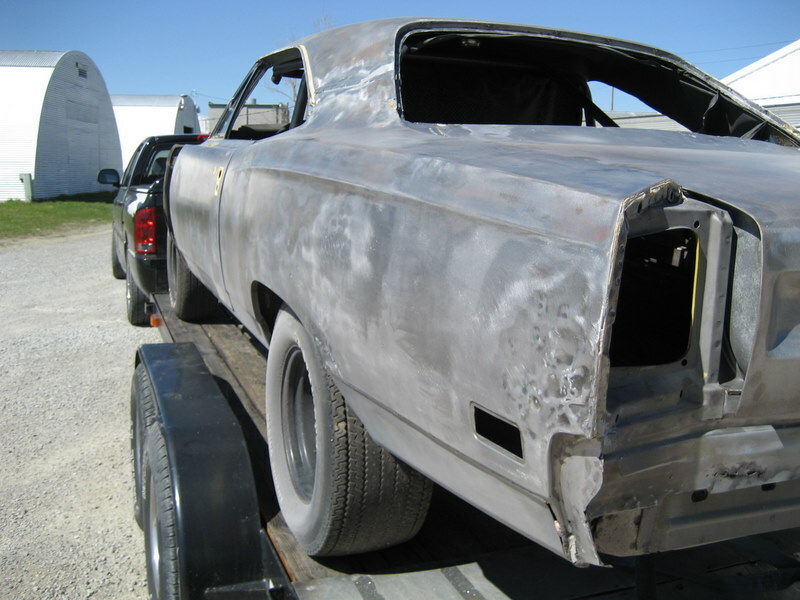 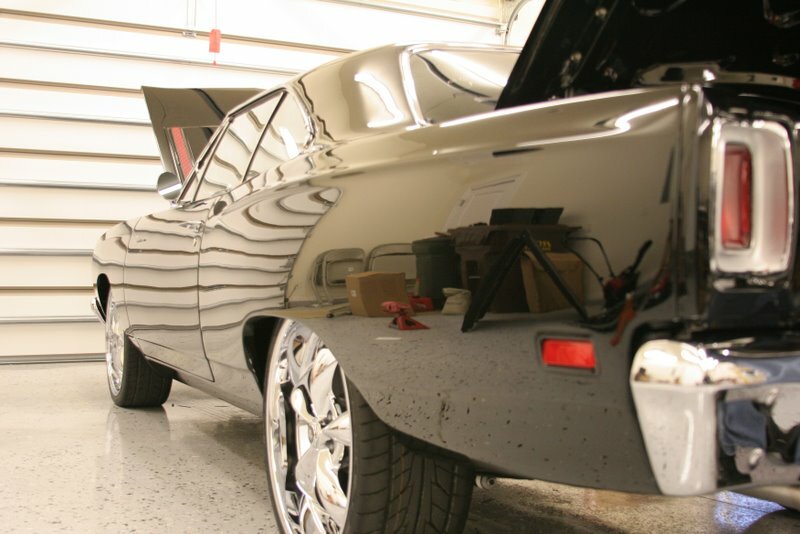 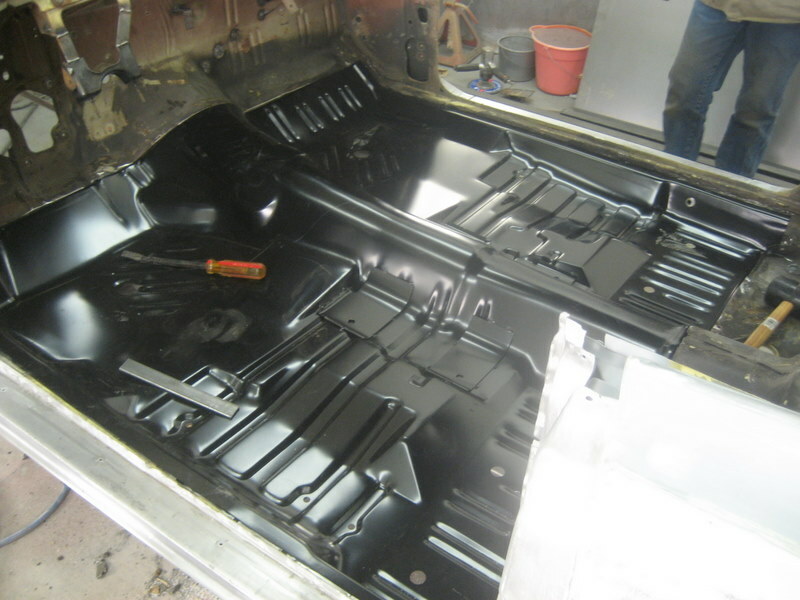 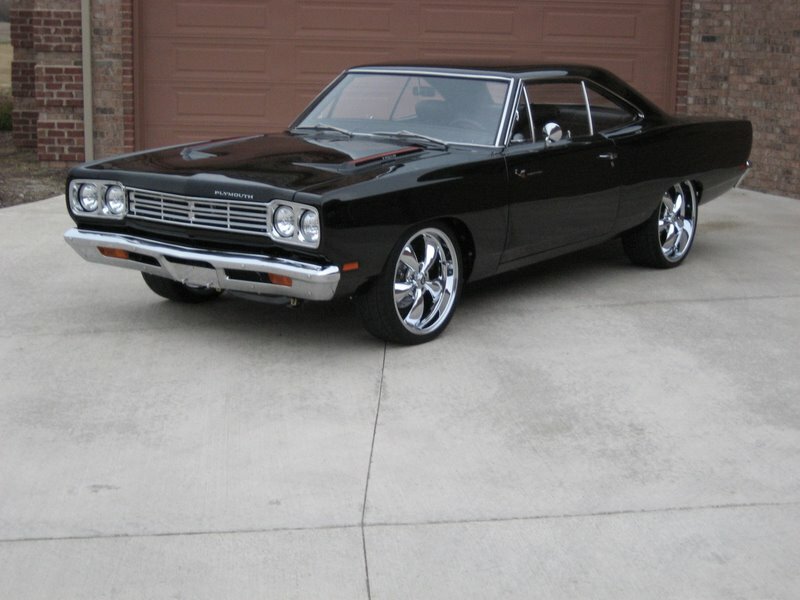 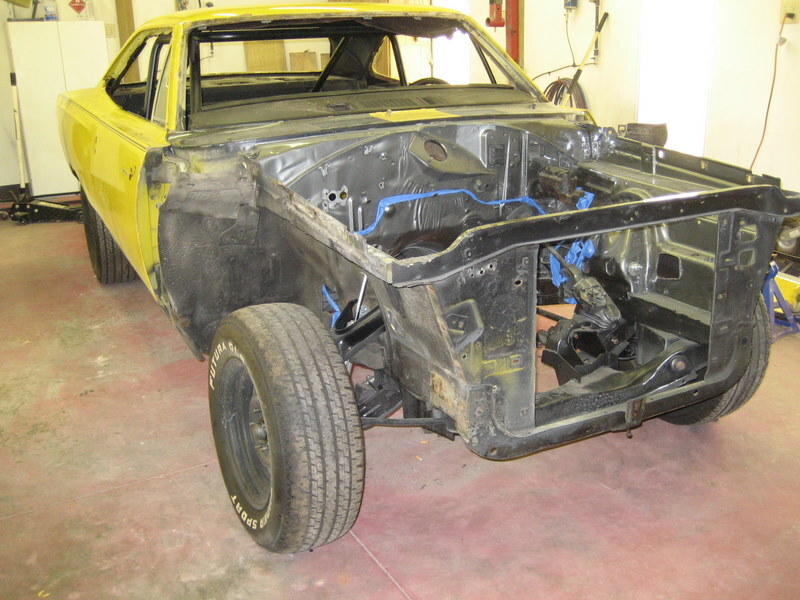 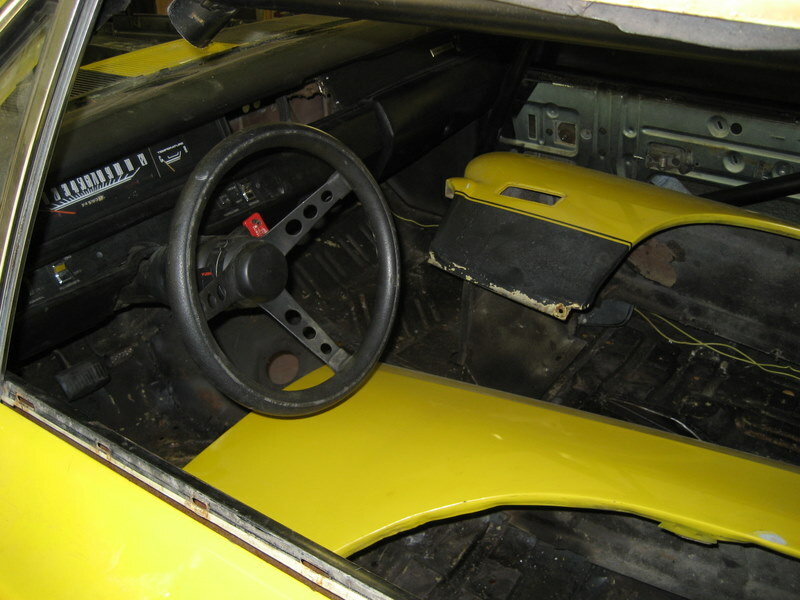 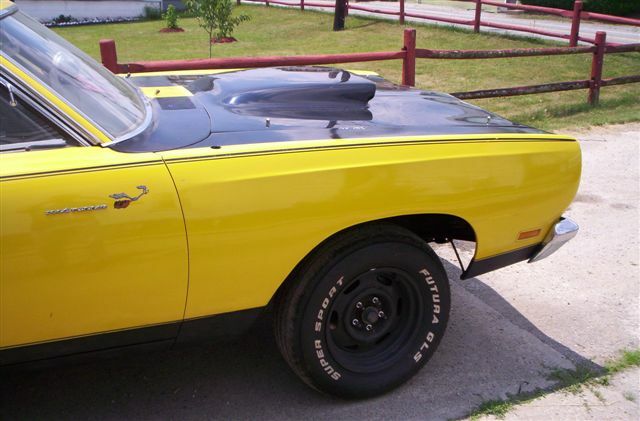 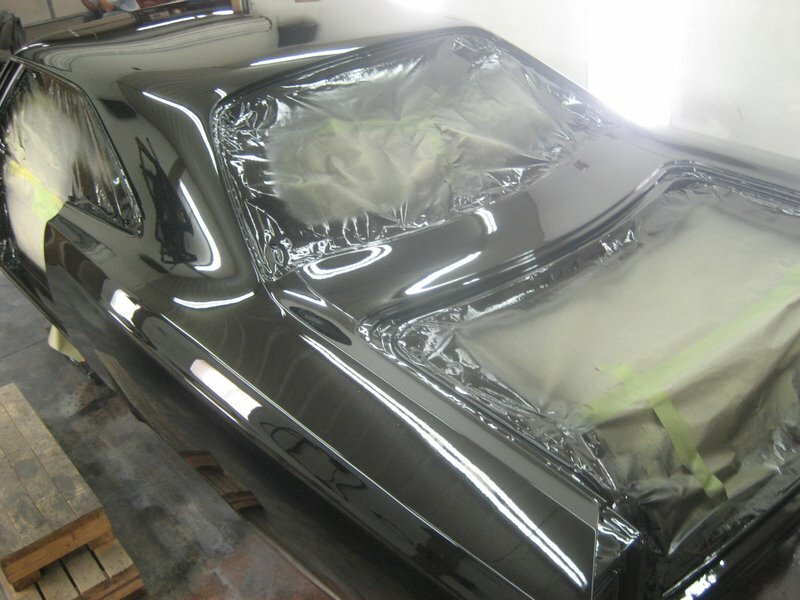 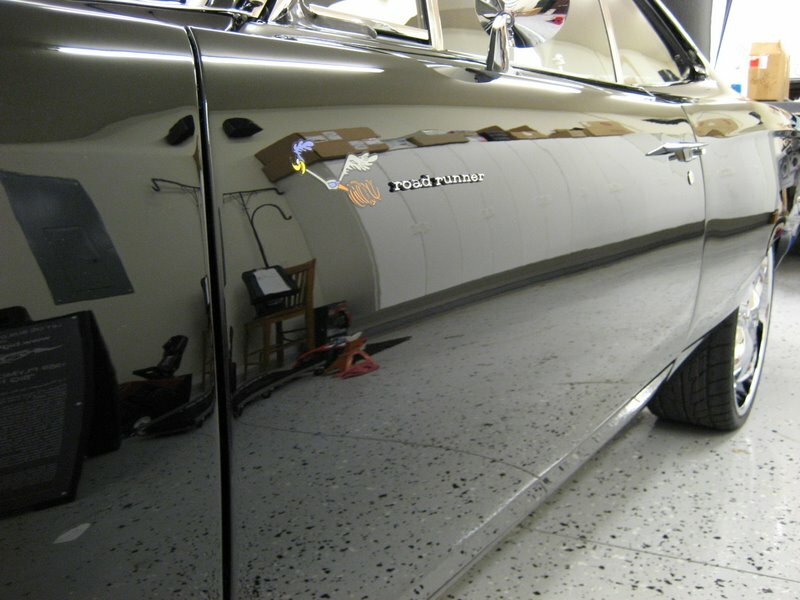 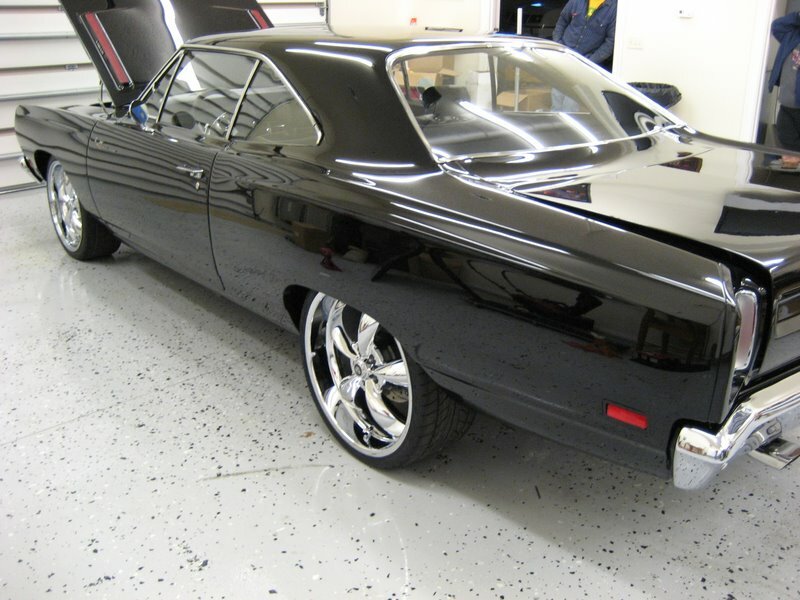 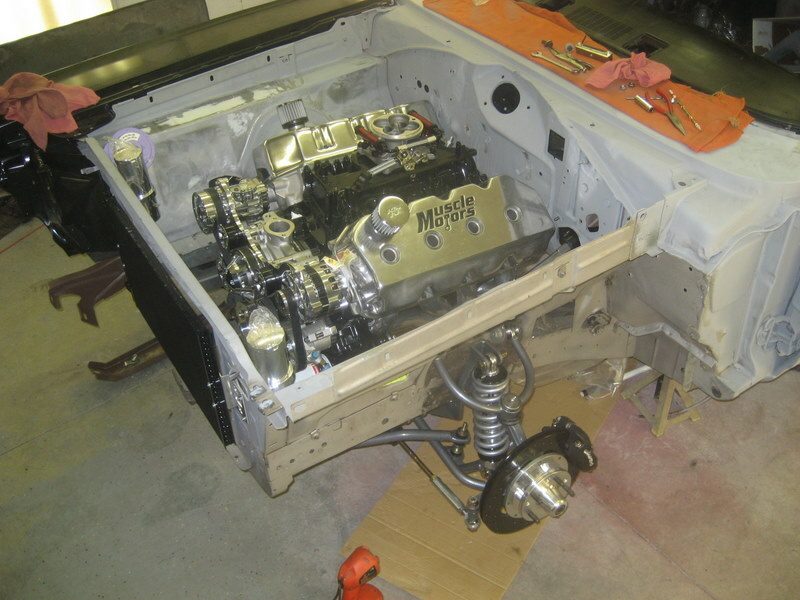 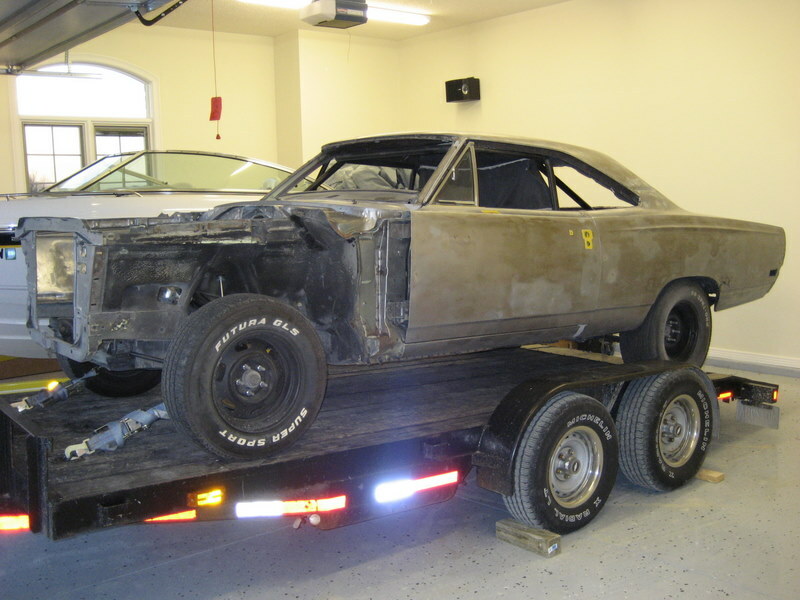 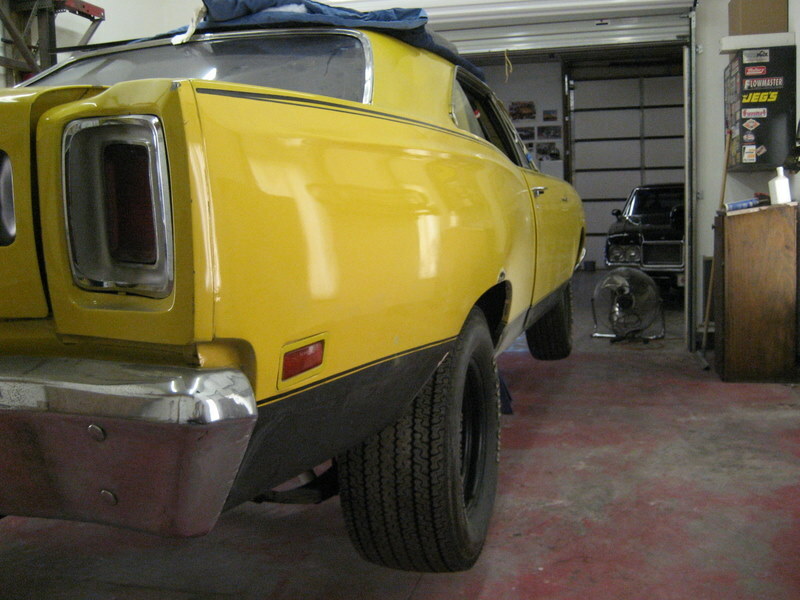 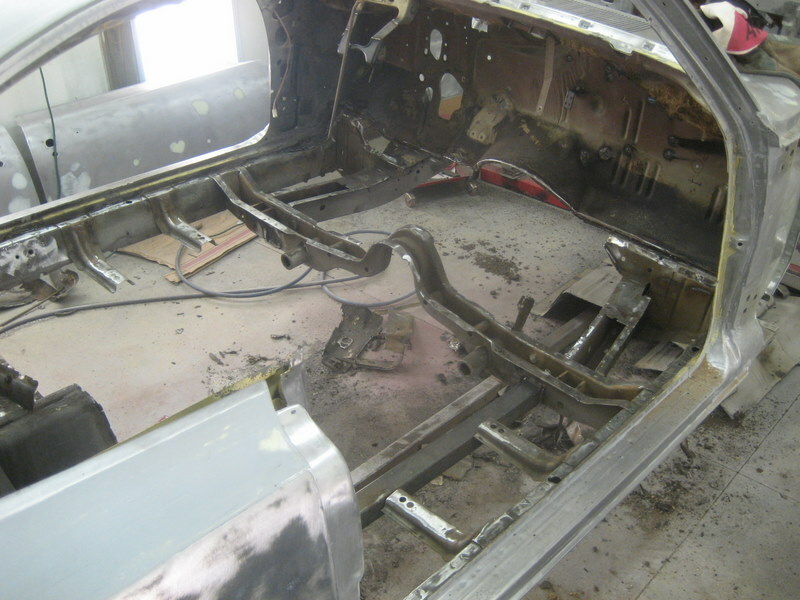 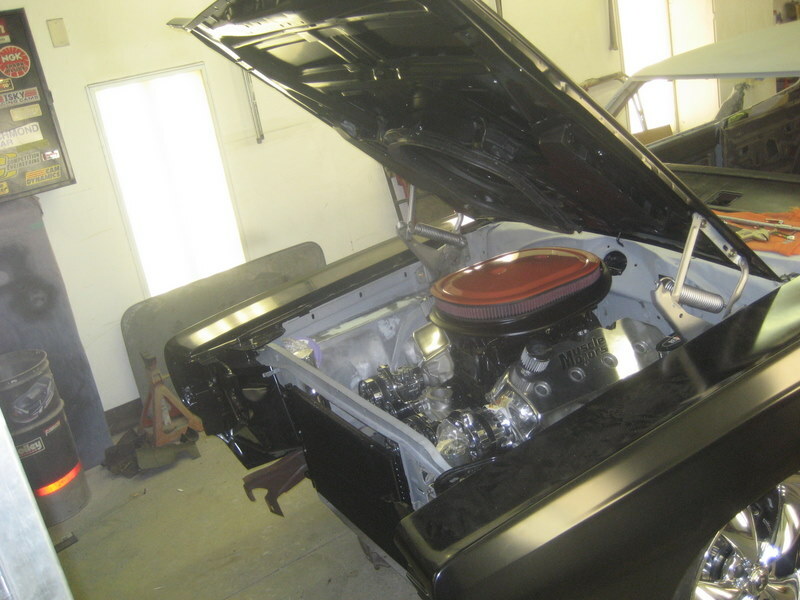 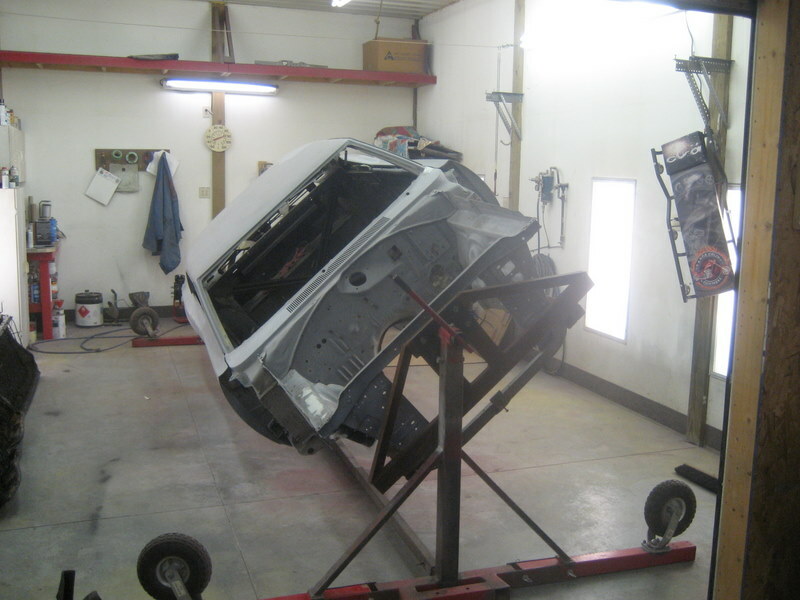 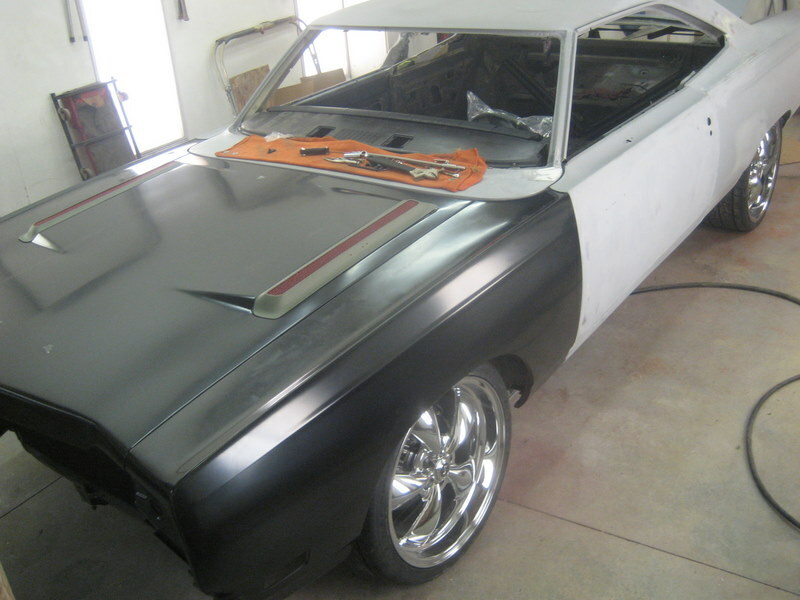 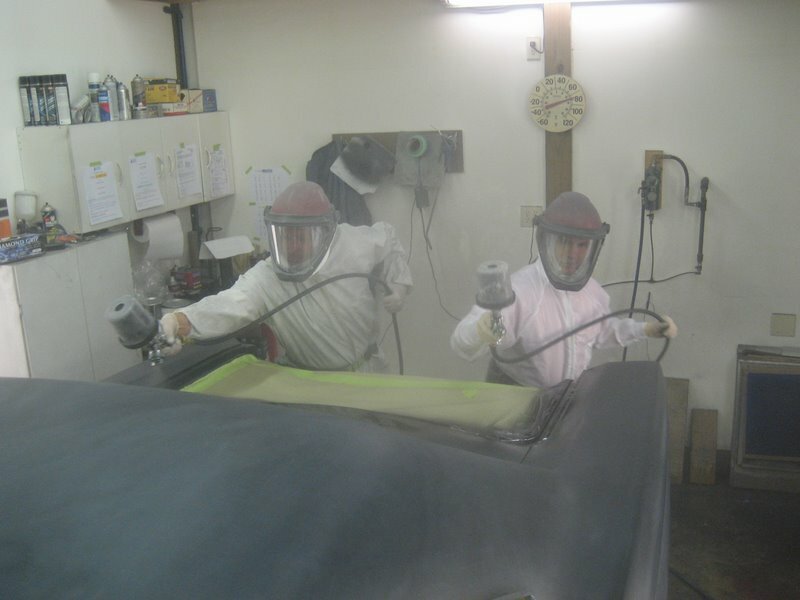 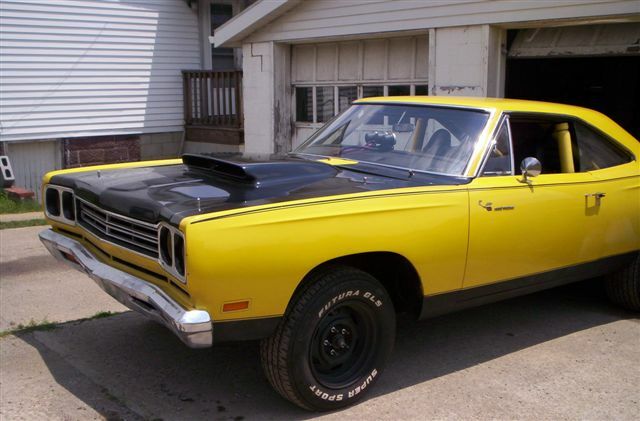 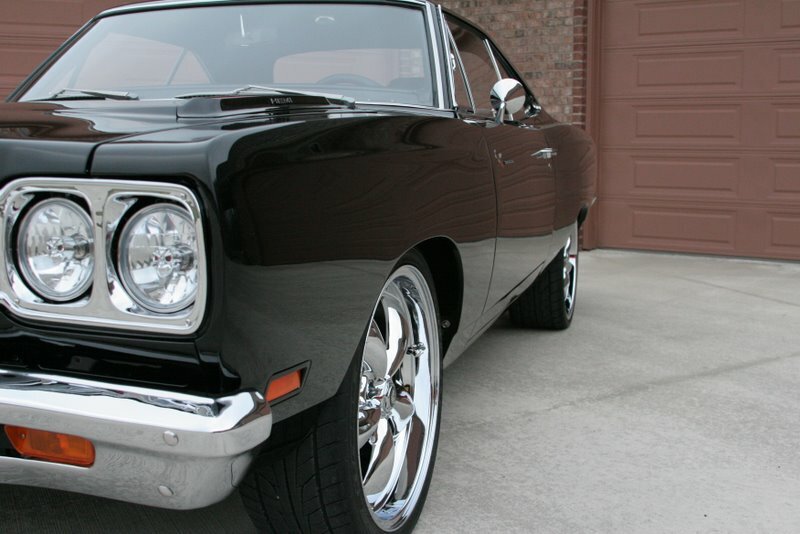 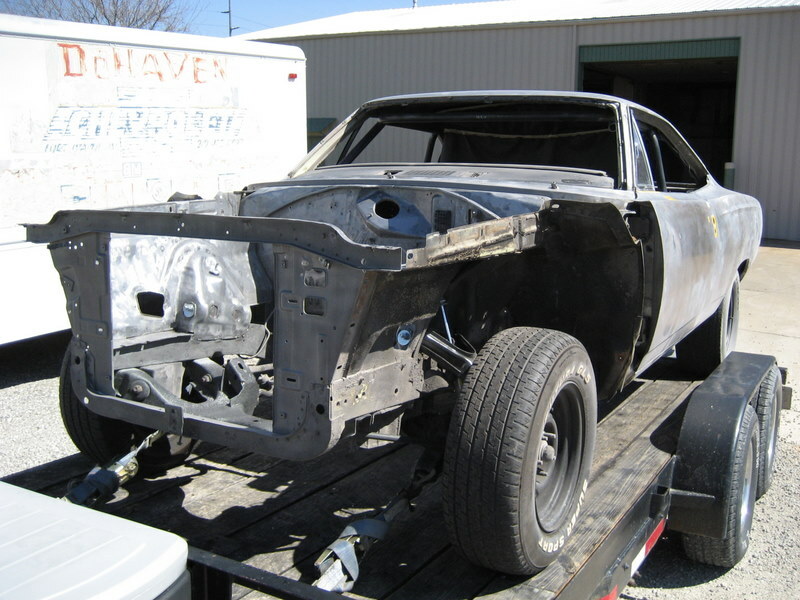 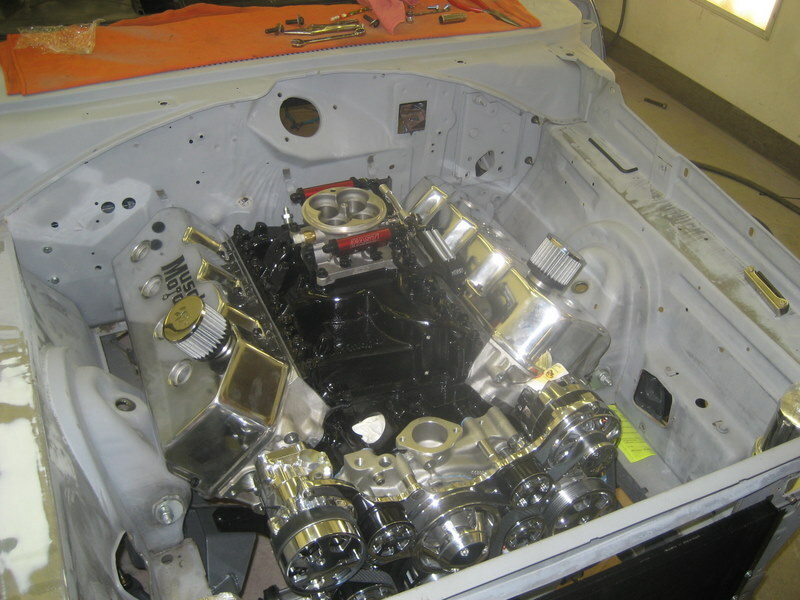 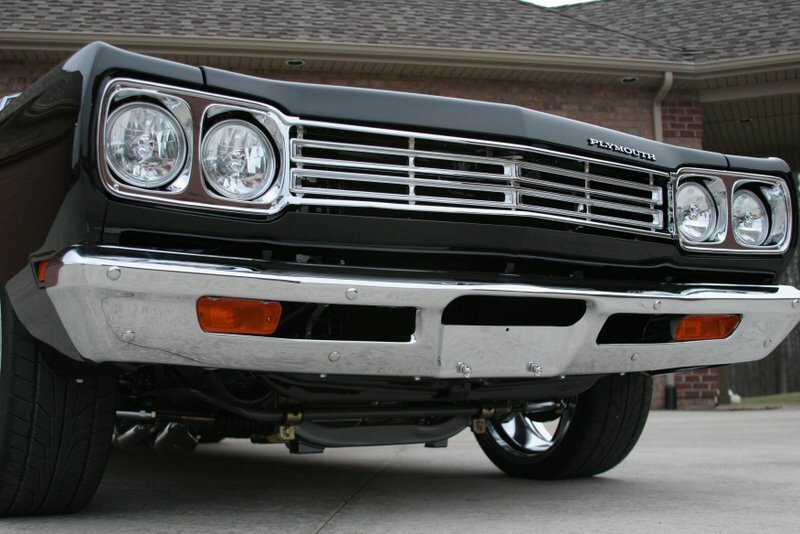 START WITH A STOCK 69 ROADRUNNER SHELL…STRIP AND MEDIA BLAST THE ENTIRE CAR TO BARE METAL. 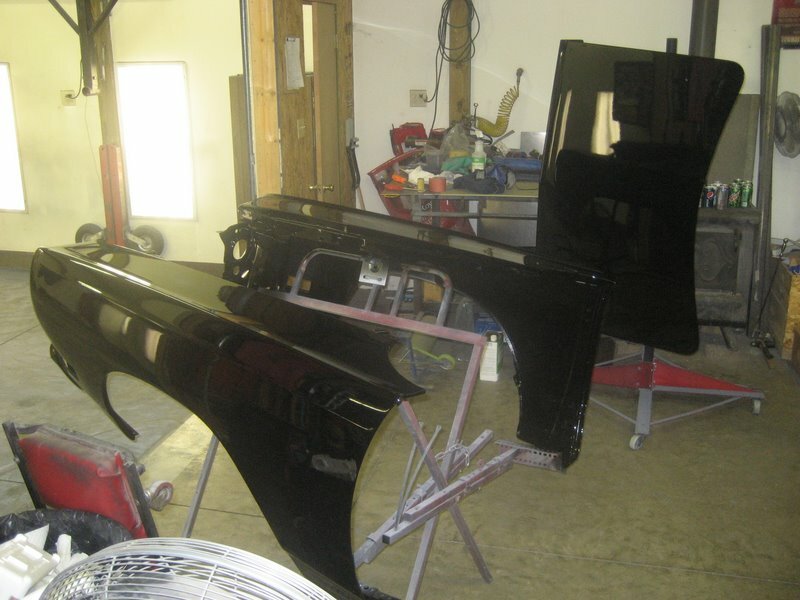 REPLACE SHEETMETAL, BODY PANELS AND ALL NEW GLASS WITH THE HELP OF MATTS CLASSIC BOWTIES…BLOCK THE PANELS (TILL YOUR FINGERS BLEED) TO LASER STRAIGHT PERFECTION…ALL OF THE BODY GAPS IN PERFECT ALIGNMENT…PAINT THE CAR “BACK IN BLACK” WITH THE BARRETT JACKSON COLLECTOR CAR SERIES COLORS FROM MARK AND GARY AT TCS, AND GET LOST LOOKING INTO THE PERFECT CLEAR COAT…THE FINISH ALONE WOULD HAVE TROPHIES THROWN AT IT AT ANY SHOW. 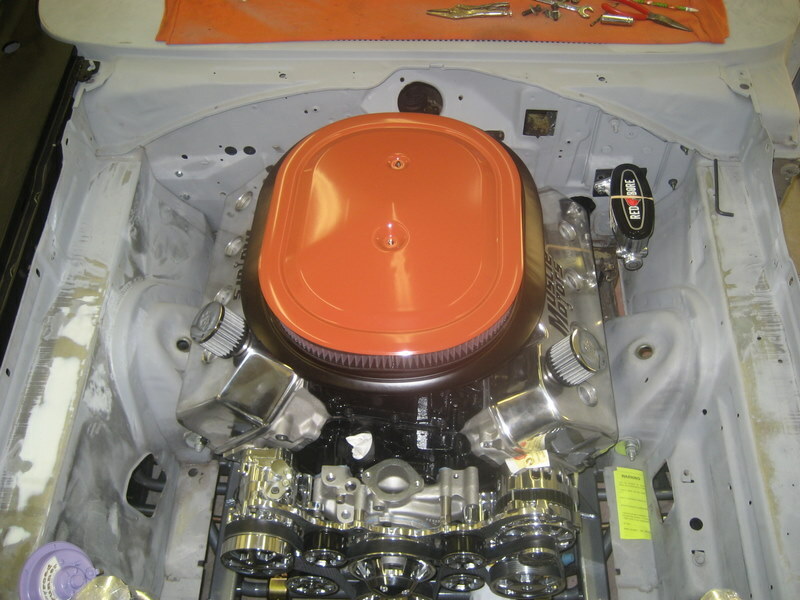 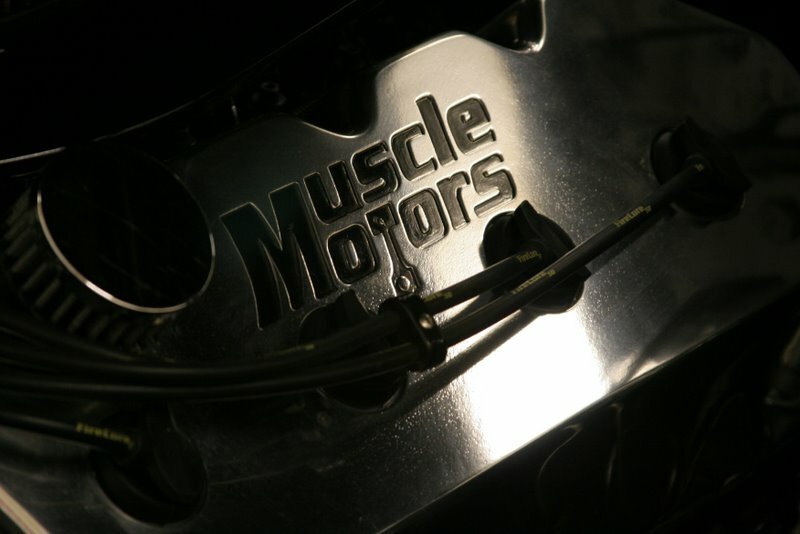 DROP IN A 472 INDY HEADED STROKER FUEL INJECTED HEMI FROM MUSCLE MOTORS RACING MAKING MORE THAN 600 HP…BEHIND IS A KEISLER ENGINEERING 5 SP TRANSMISSION KIT WITH A PISTOL GRIP SHIFTER STICKING OUT OF THE TUNNEL. 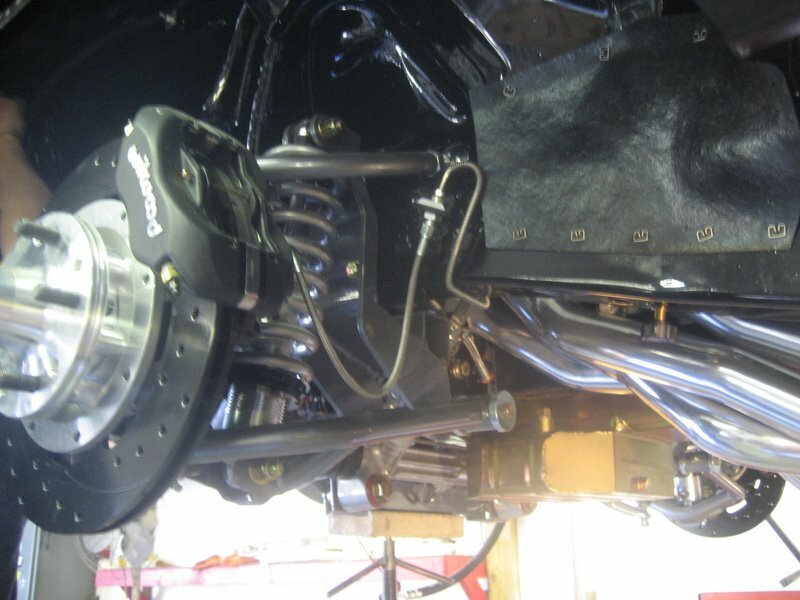 PUTTING THE RUBBER TO THE GROUND IS A BRAND NEW DANA 60 WITH A DRILLED AND SLOTTED WILWOOD BRAKE SYSTEM AND HOTCHKIS PERFORMANCE LEAF SPRINGS. 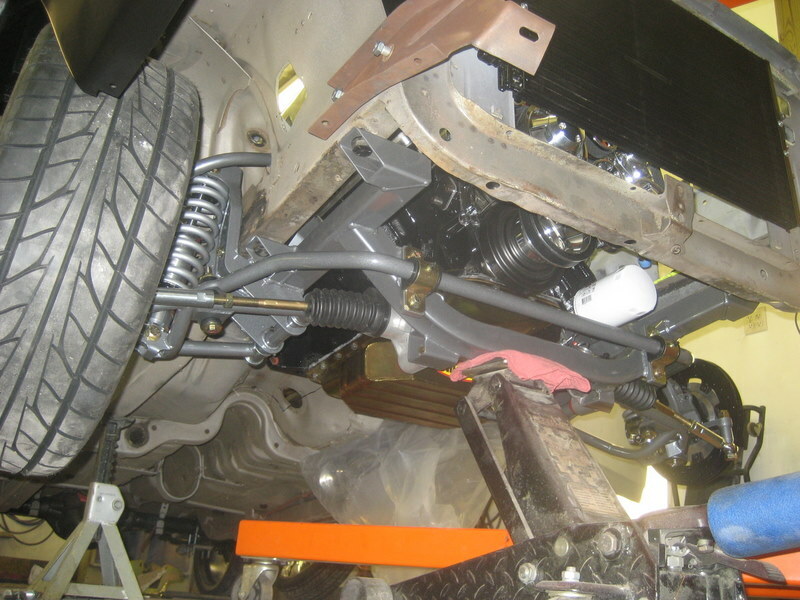 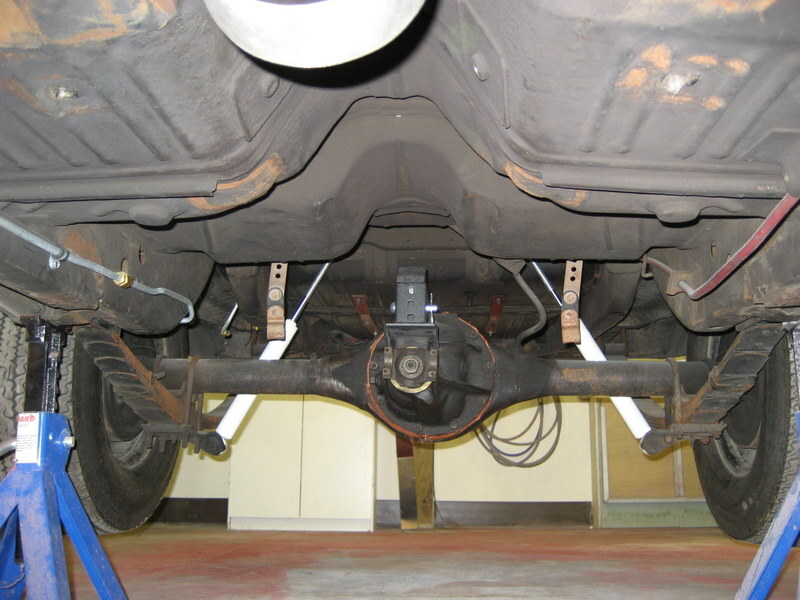 UP FRONT IS A COMPLETE ALTERKTION/POWER STEERING/SWAY BAR FRONT TUBULAR K MEMBER…WITH HUGE DILLED AND SLOTTED WILWOOD BRAKE SYSTEM AND RED BORE MASTER CYLINDER KIT. 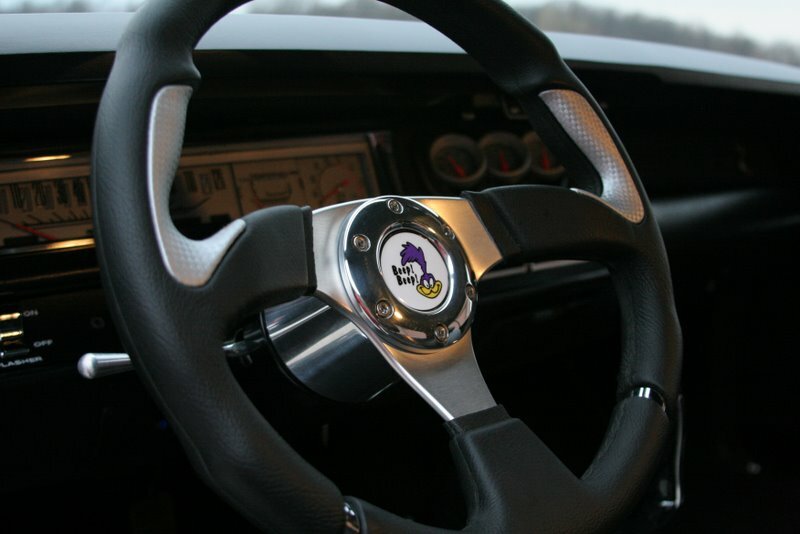 CUSTOM FLAMING RIVER TILT COLUMN AND STEERING WHEEL. 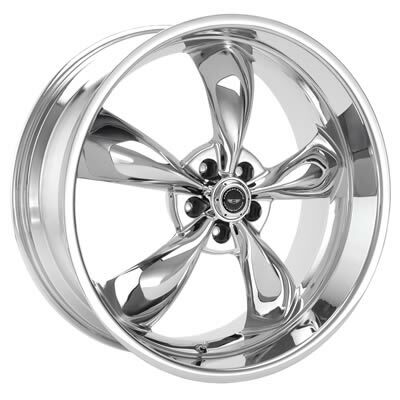 UP FRONT AMERICAN RACING TORQUE THRUST M 20”X 8.5” WHEELS WITH NITTO NT 555 PERFORMANCE TIRES 245/35ZR-20 AND 22”X 9.5” WHEELS WITH 295/25ZR-22 TIRES OUT BACK HELPING WITH THE TRACTION AND HANDLING. 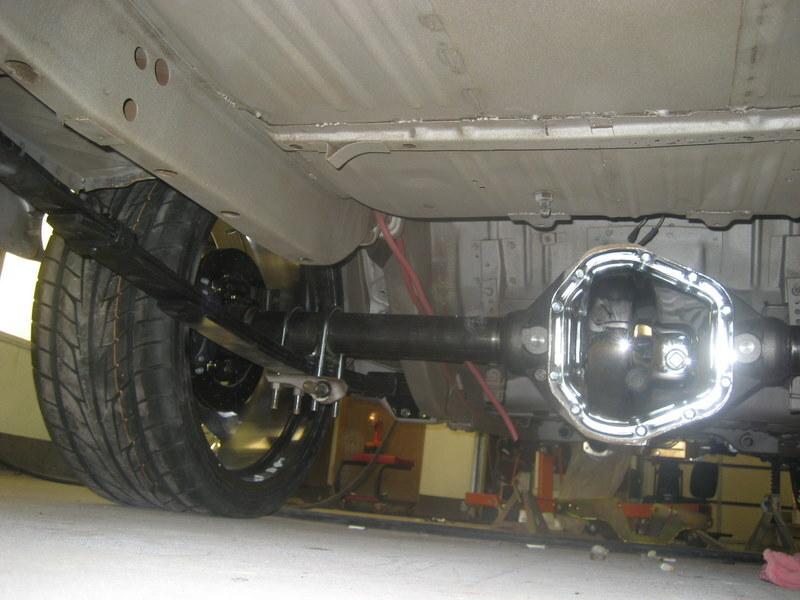 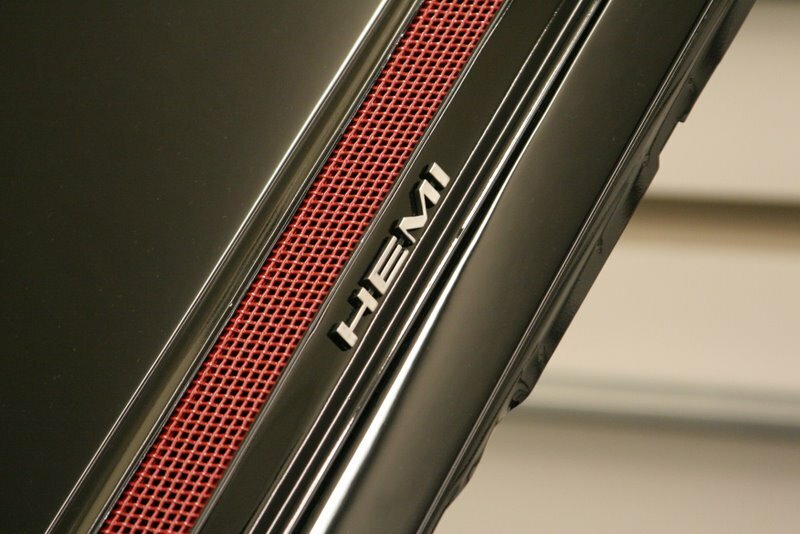 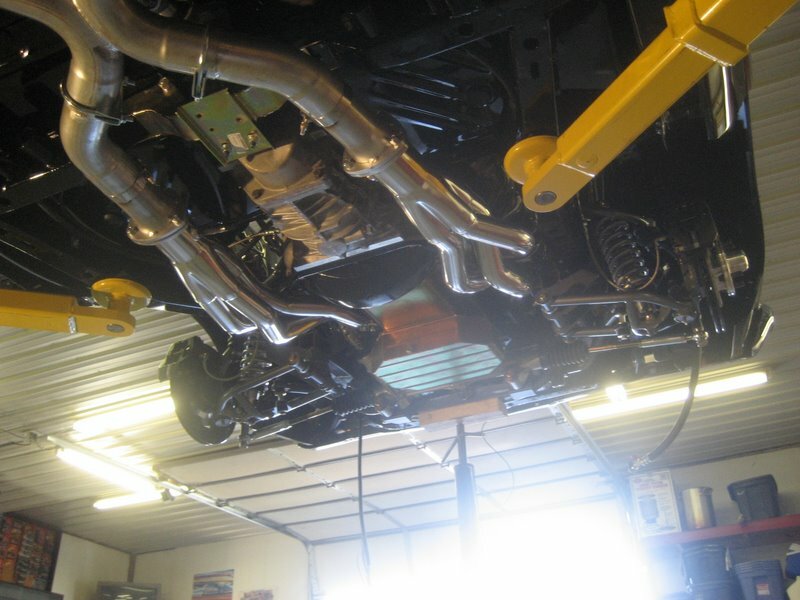 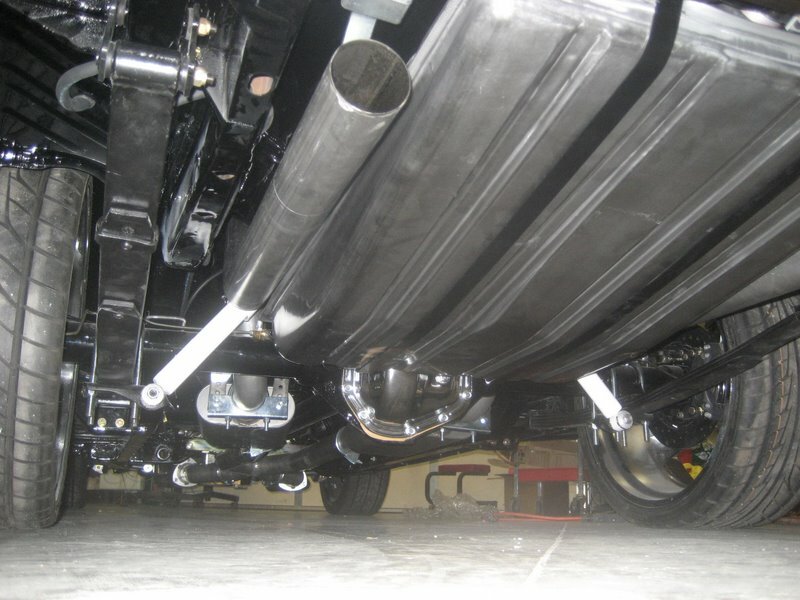 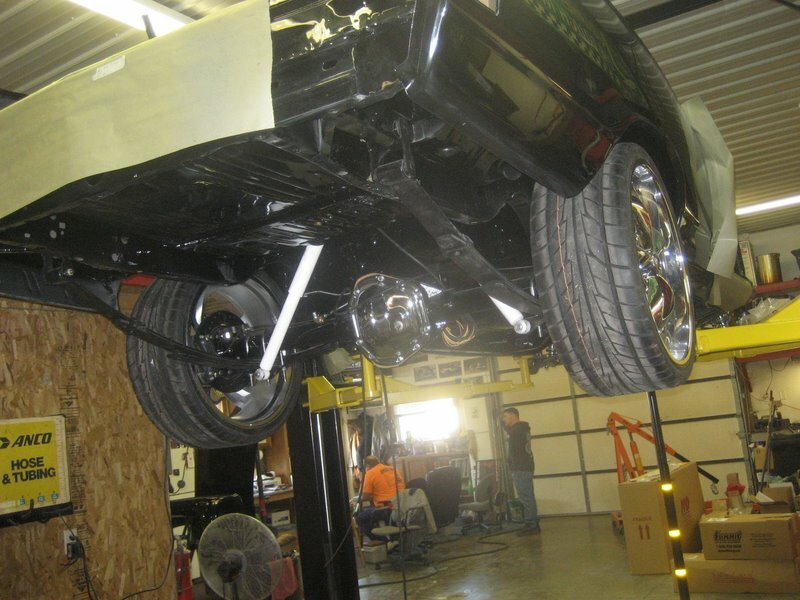 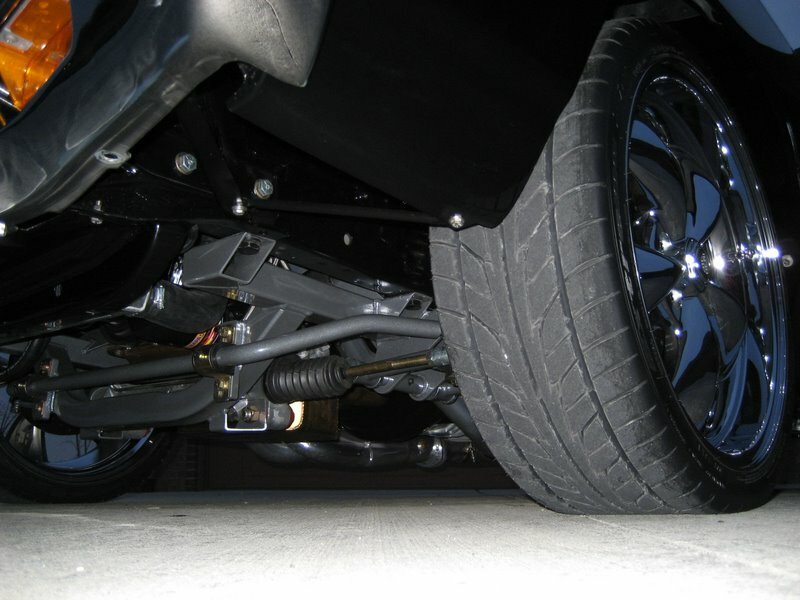 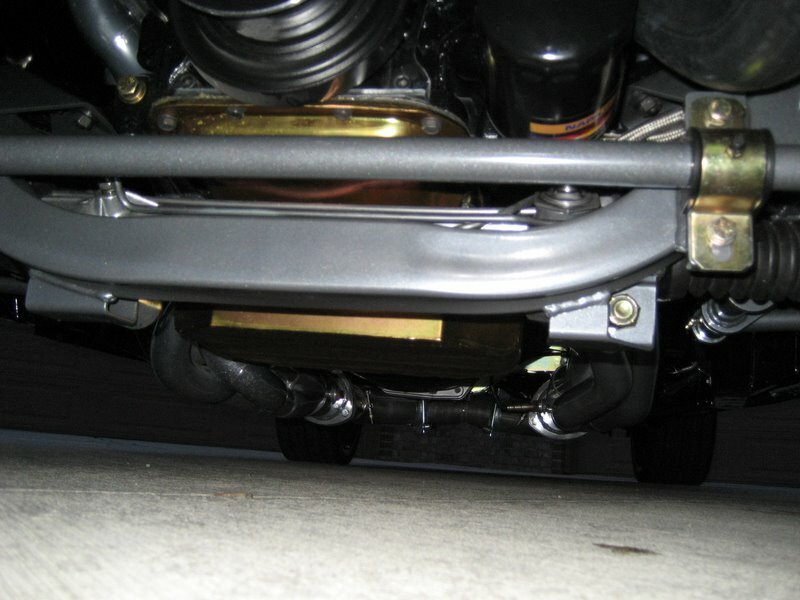 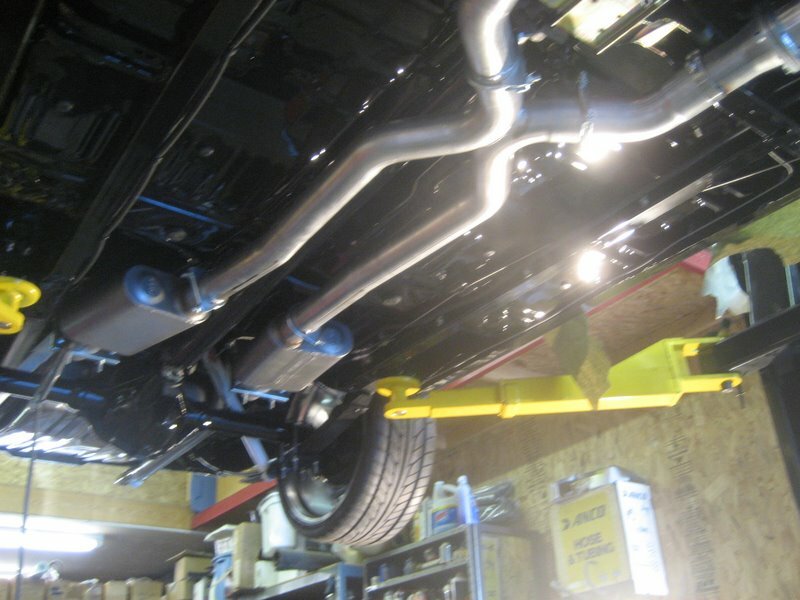 HELPING THE HEMI BREATHE IS A COMPLETE TTI EXHAUST SYSTEM WITH POLISHED CERAMIC HEADERS, 3 INCH X PIPE EXHAUST SYSTEM WITH FLOWMASTER SUPER 44 MUFFLERS AND 3 INCH TIPS. 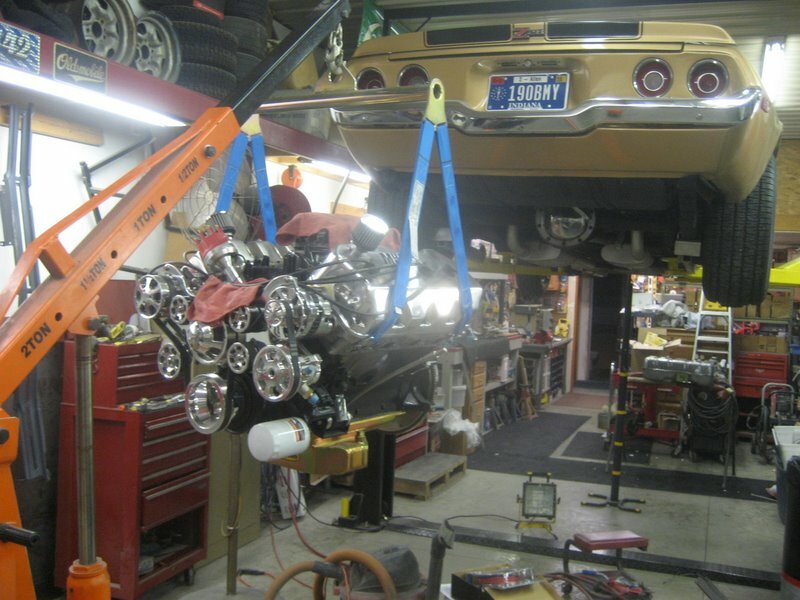 FUEL FOR THE HEMI SUPPLIED BY COMP CAMS F.A.S.T. 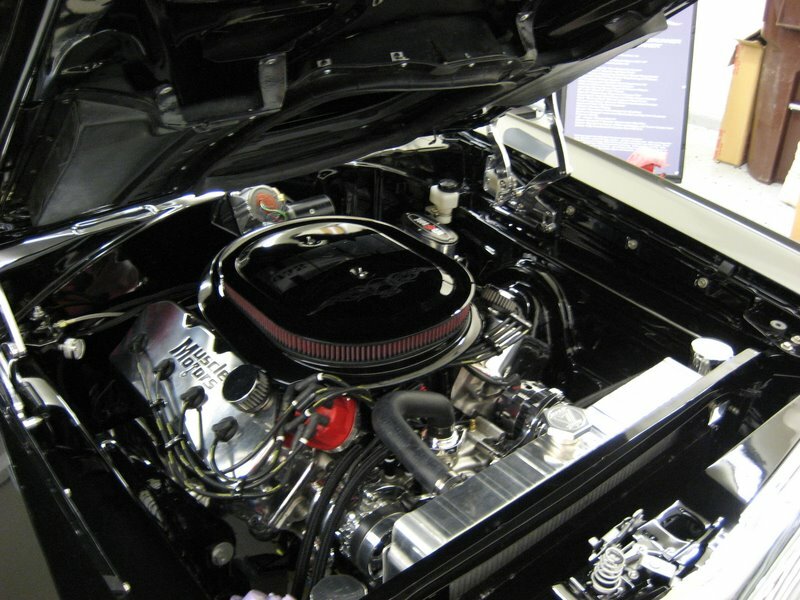 FUEL INJECTION KIT WITH A ROCK VALLEY AUTO CUSTOM GAS TANK WITH FUEL PUMP INSIDE…AN FITTINGS AND LINES HELP TO PLUMB THE FUEL SYSTEM FROM SUMMIT RACING AND JEGS HIGH PERFORMANCE. 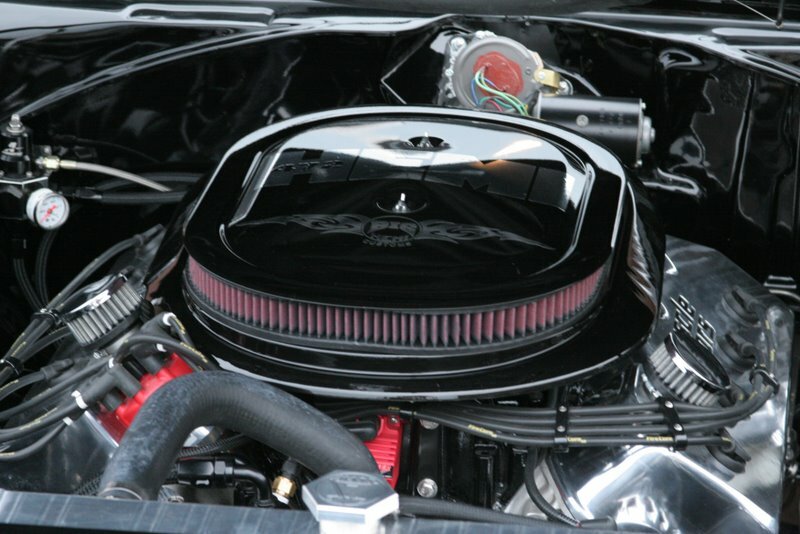 COOLING IS PERFORMED BY A 26” CUSTOM RADIATOR FROM MARK 7 RADIATORS WITH AUTO ELECTRIC FANS. 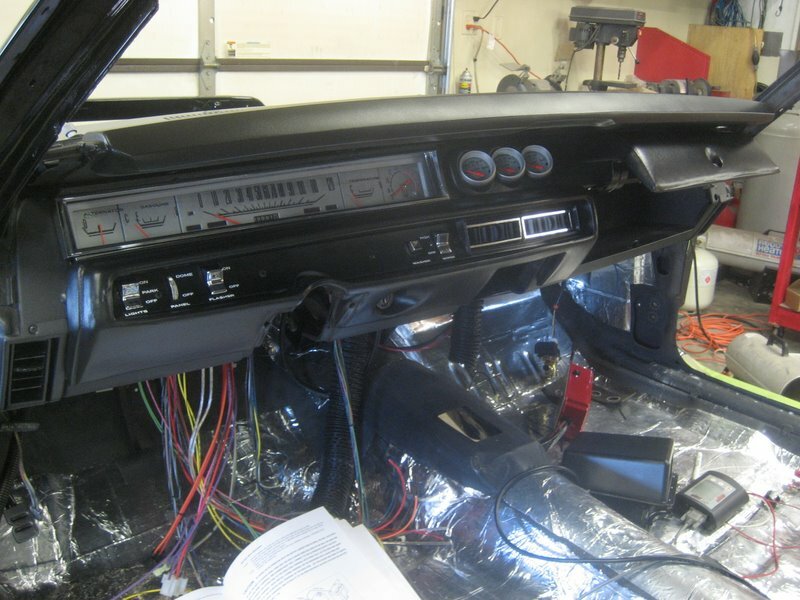 PAINLESS WIRING KIT PROFESSIONALLY WIRED INTO THE CAR. 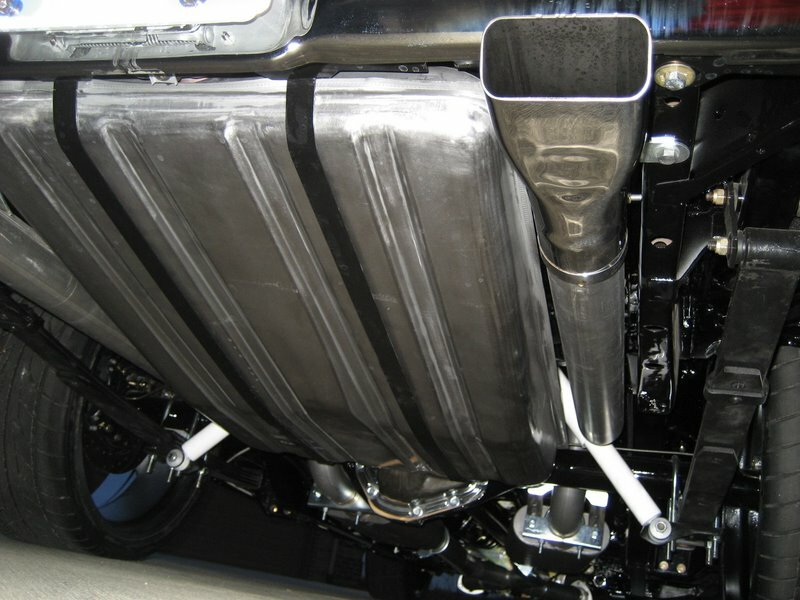 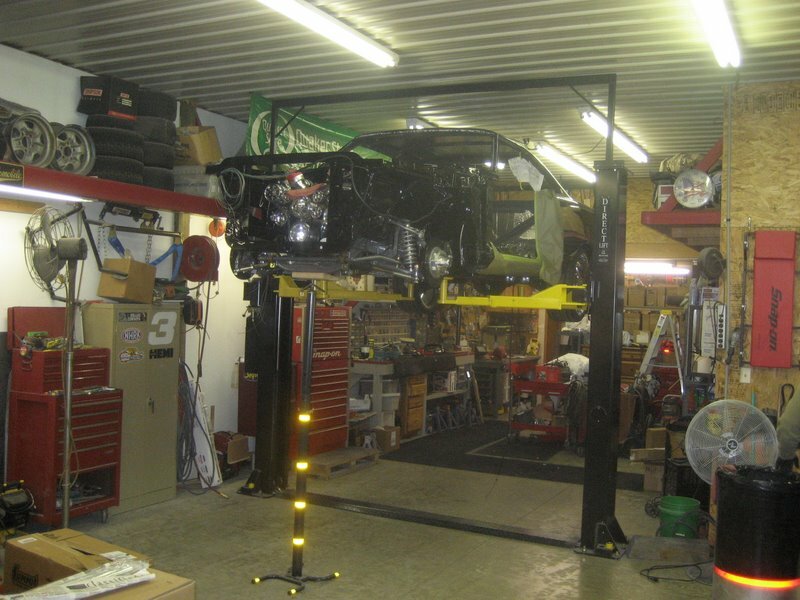 BILLET SPECIALTIES TRU TRAC SERPENTINE SYSTEM WITH POWER STEERING AND A/C. 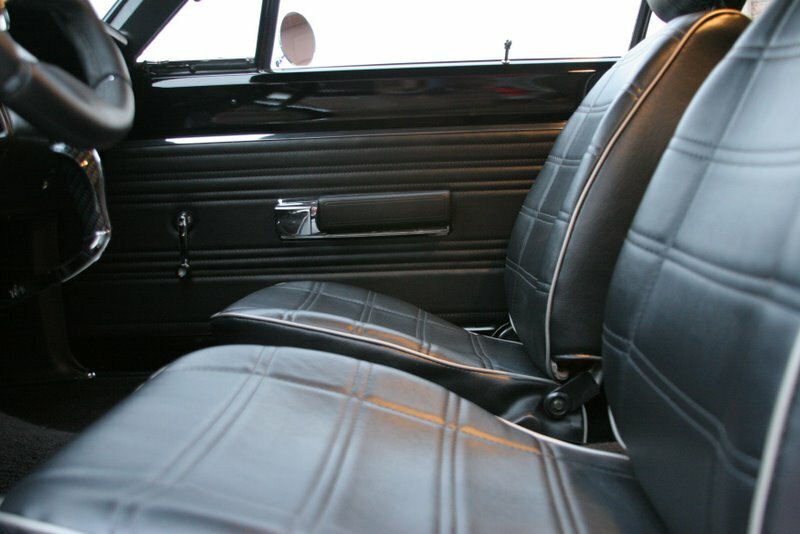 PLYMOUTH DID SUCH A GREAT JOB ON THE FACTORY INTERIOR OF THERE CARS THAT WE DECIDED TO KEEP THE INSIDE MOSTLY ORIGINAL…SILVER FACED GAUGES, FLAMING RIVER TILT STEERING COLUMN, WITH CUSTOM STEERING WHEEL, AND CUSTOM UPHOLSTERED SEATS WITH SILVER PIPING FROM ONLINE UPHOLSTERY GIVE A HINT OF MODERN STYLE. 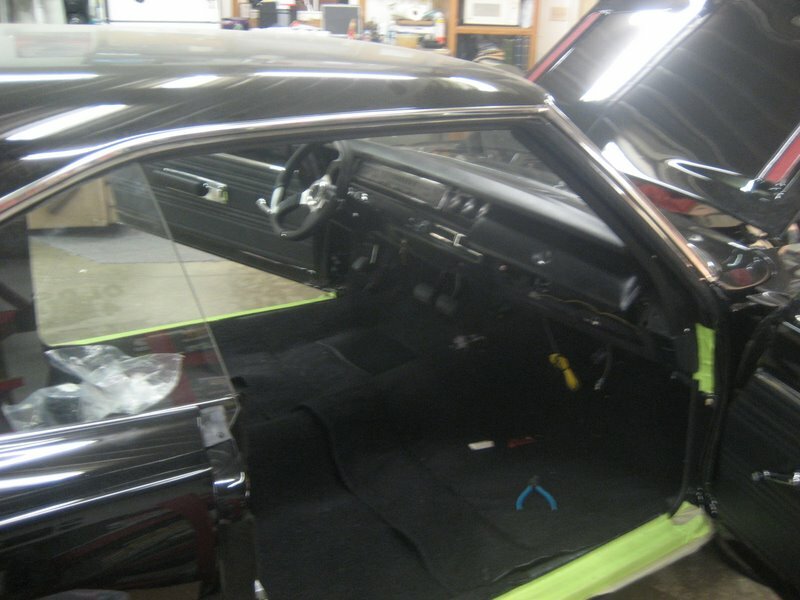 THE INTERIOR WILL HAVE ALL NEW PIECES FROM B/E & A RESTORATION PARTS, LAYSONS RESTORATIONS, YEAR ONE, AND ACC CUSTOM CARPETS. 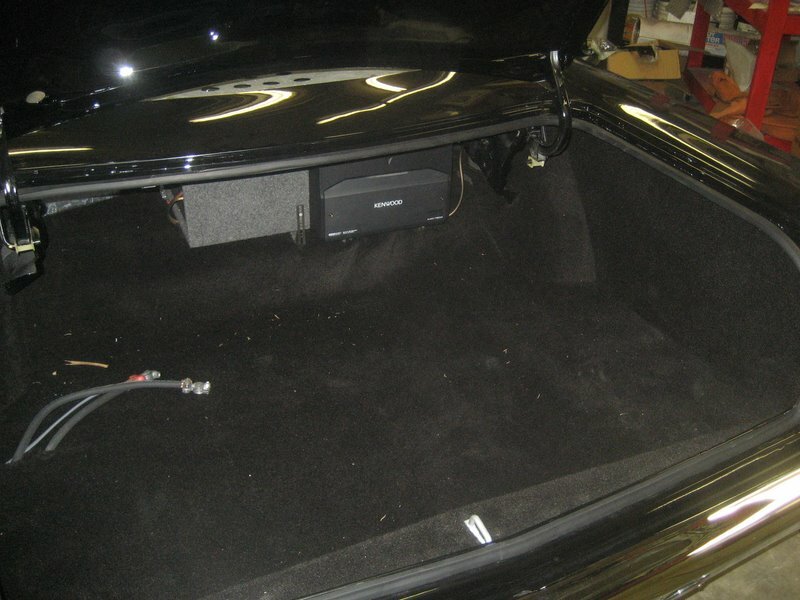 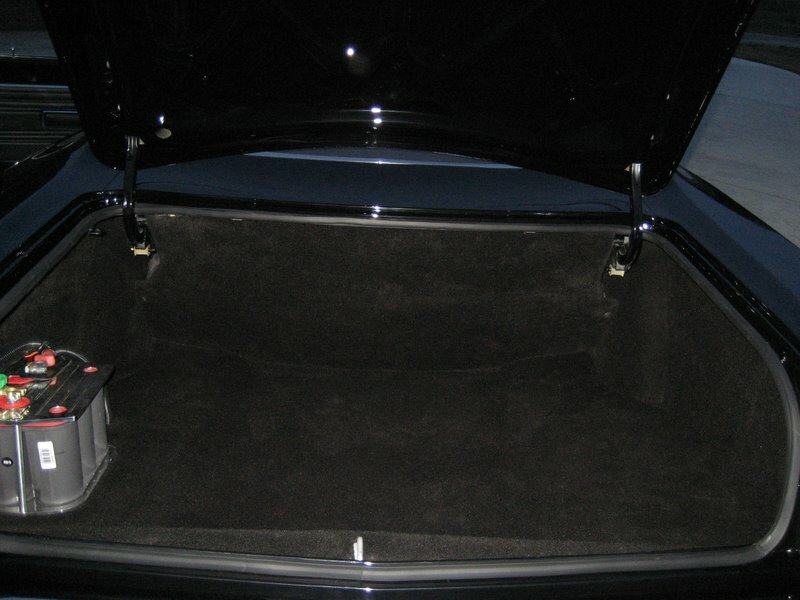 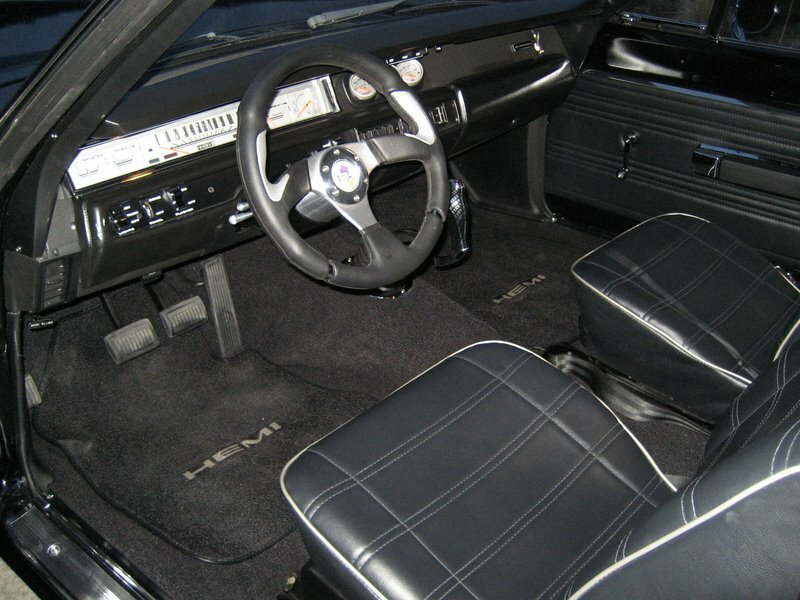 DYNAMAT USED THROUGHOUT THE INTERIOR AND TRUNK. 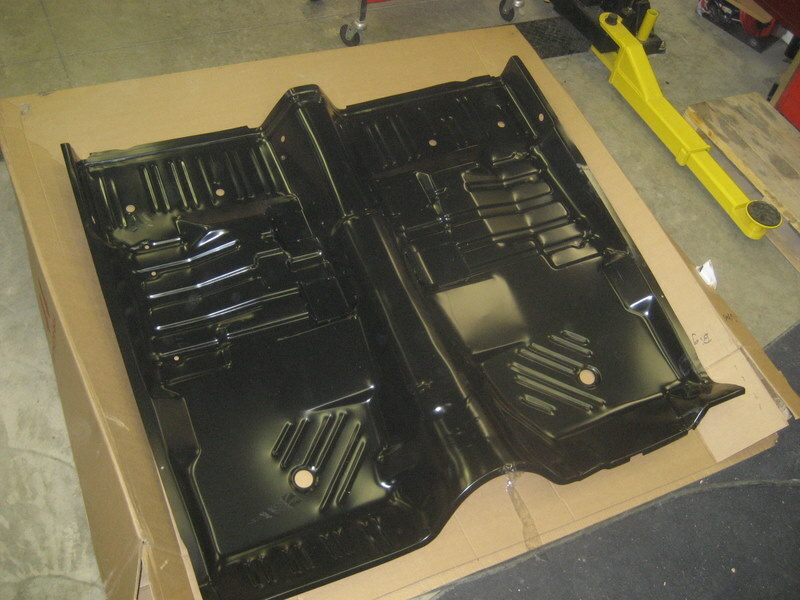 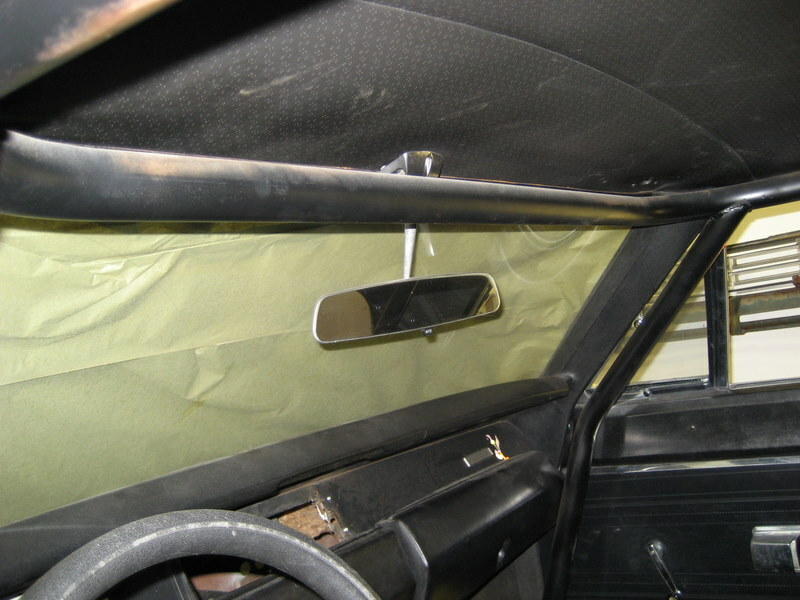 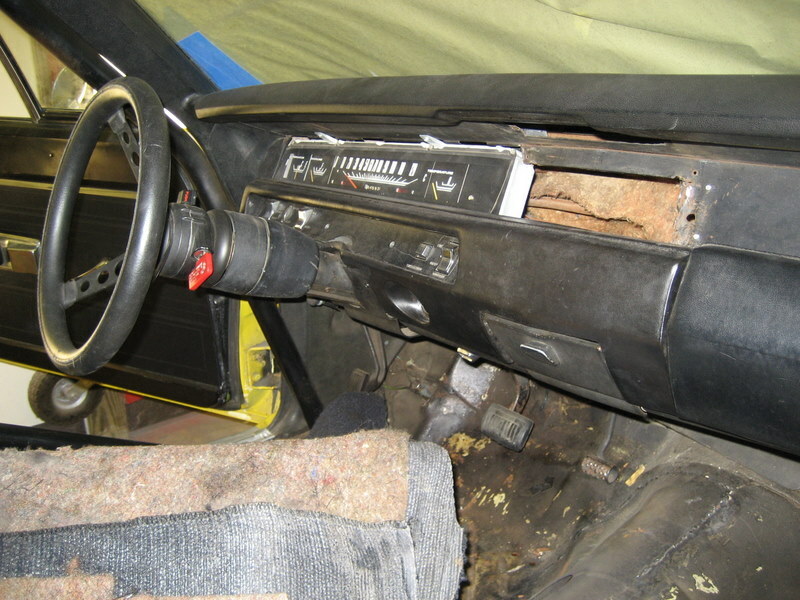 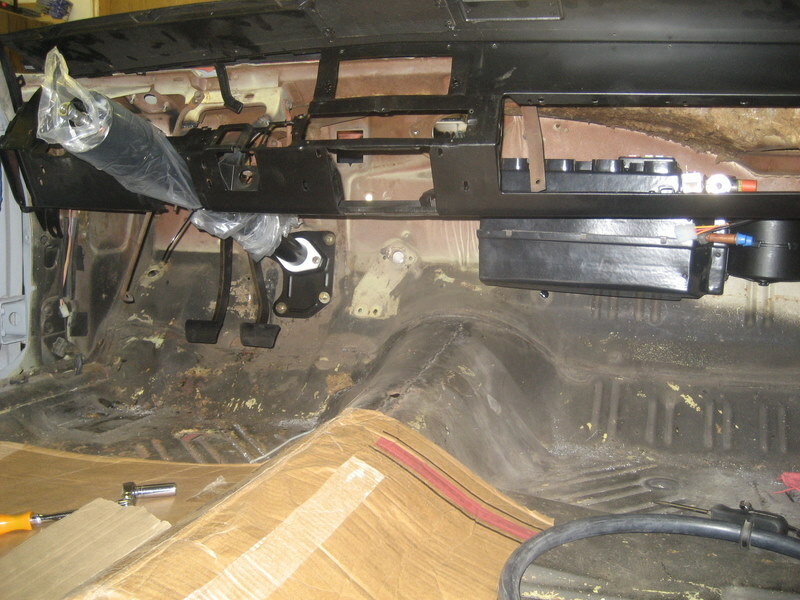 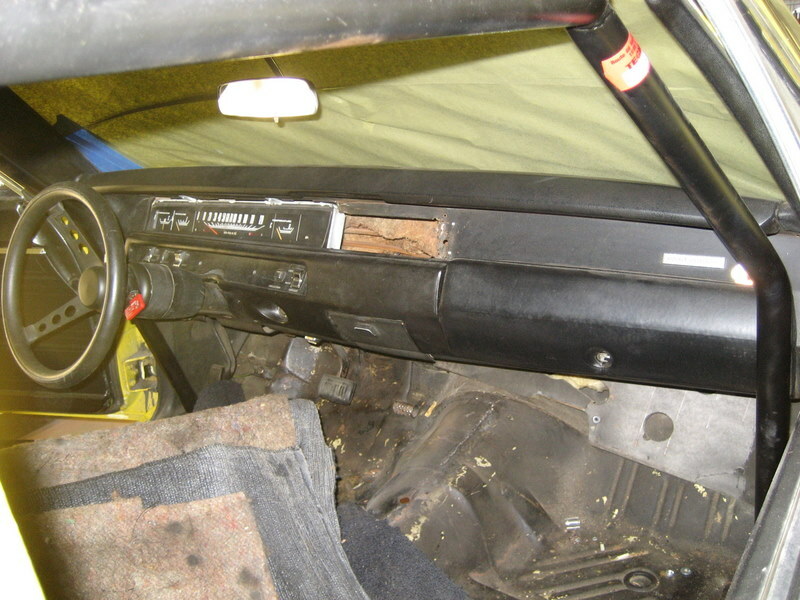 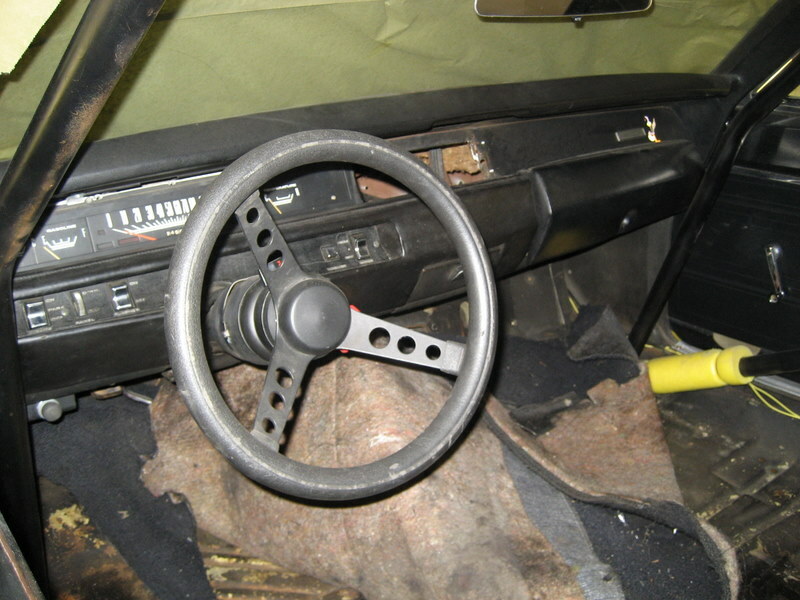 WE ALSO WILL ADD A COMPLETE ORIGINAL A/C DASH FROM BOB’S AUTO PARTS ON EBAY (mopar3401). 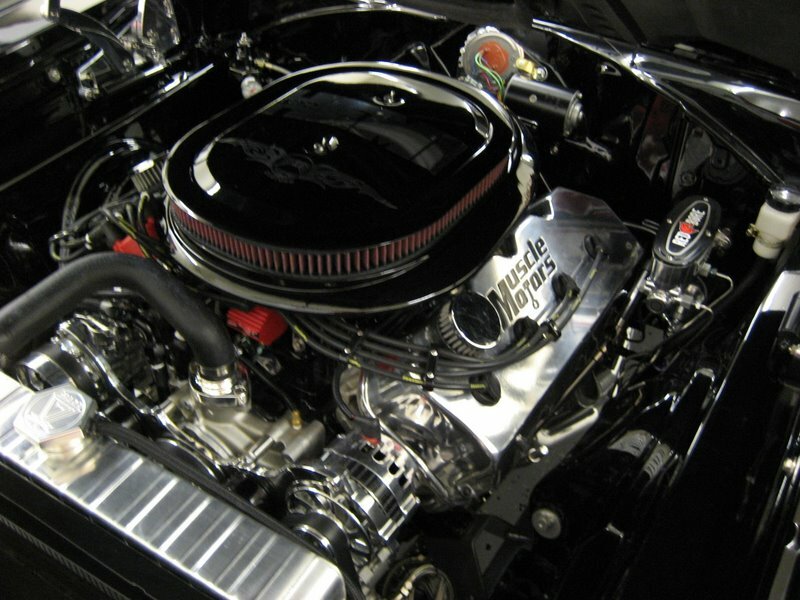 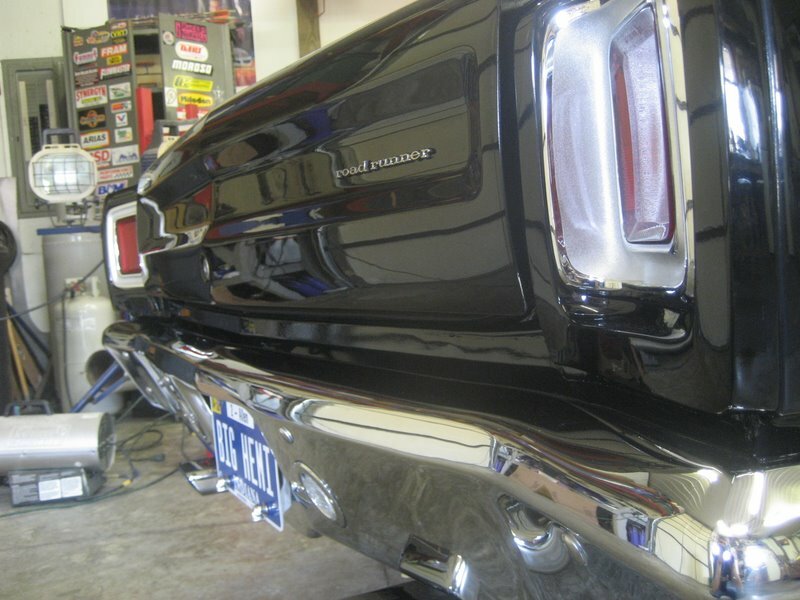 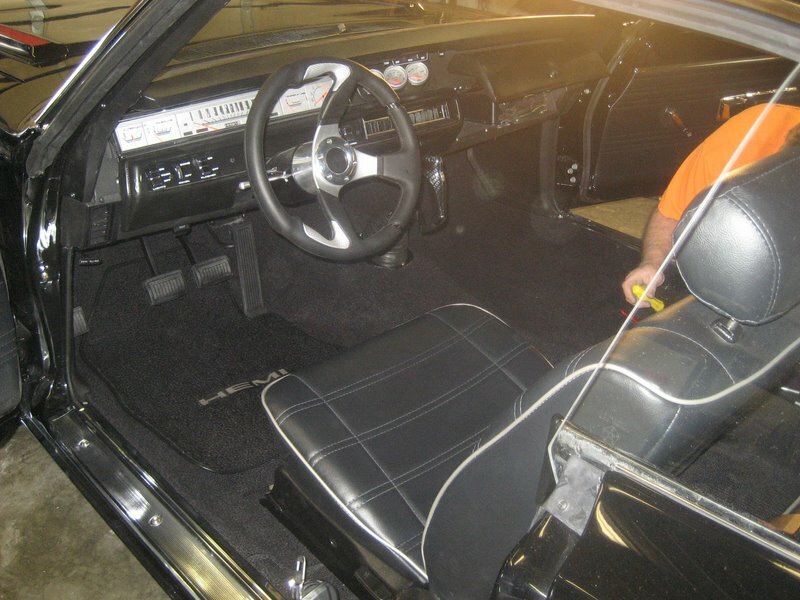 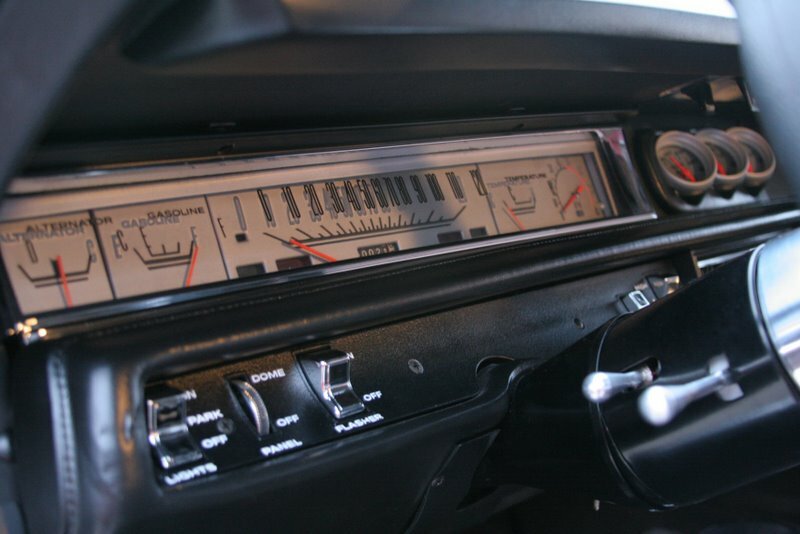 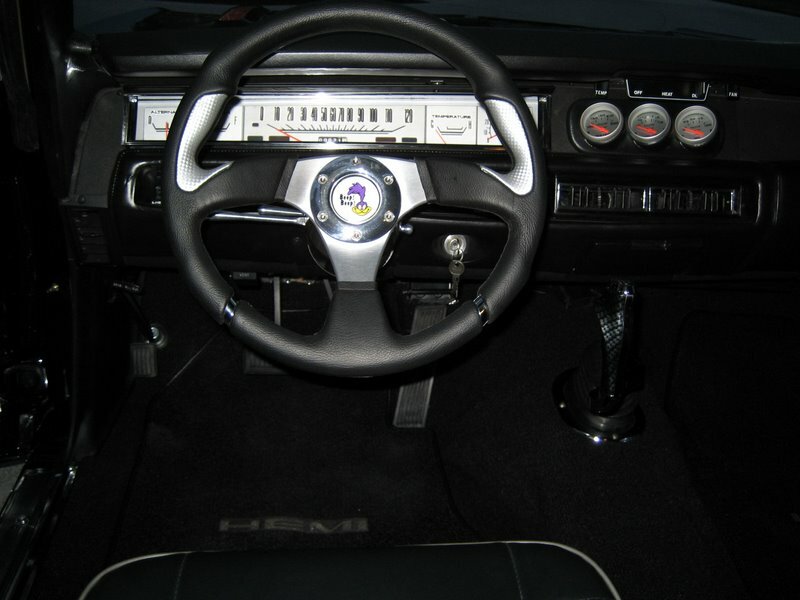 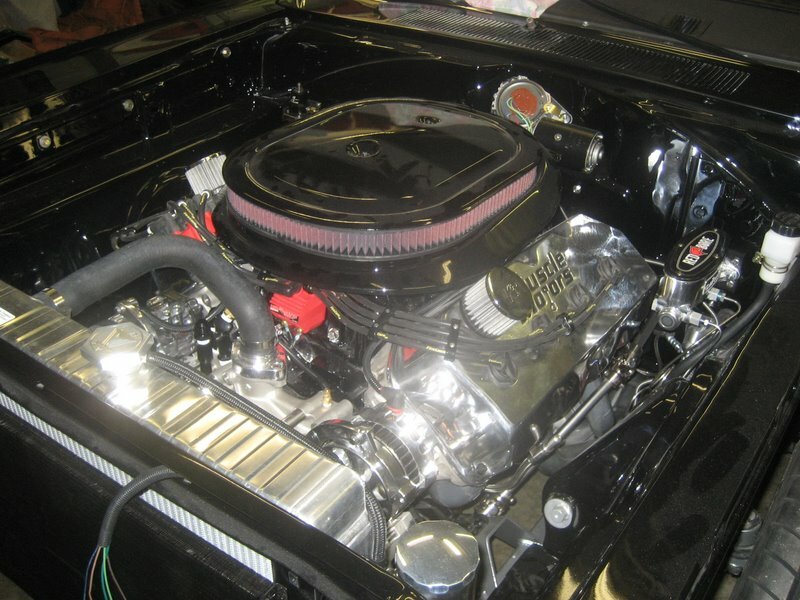 DO A COMPLETE RESTORATION OF THE DASH, HEATER CONTROLS AND GAUGE CLUSTER, WITH THE HELP OF INSTRUMENT SPECIALTIES, PERFORMANCE CAR GRAPHICS, AND BIG HEMI CUSTOMS. 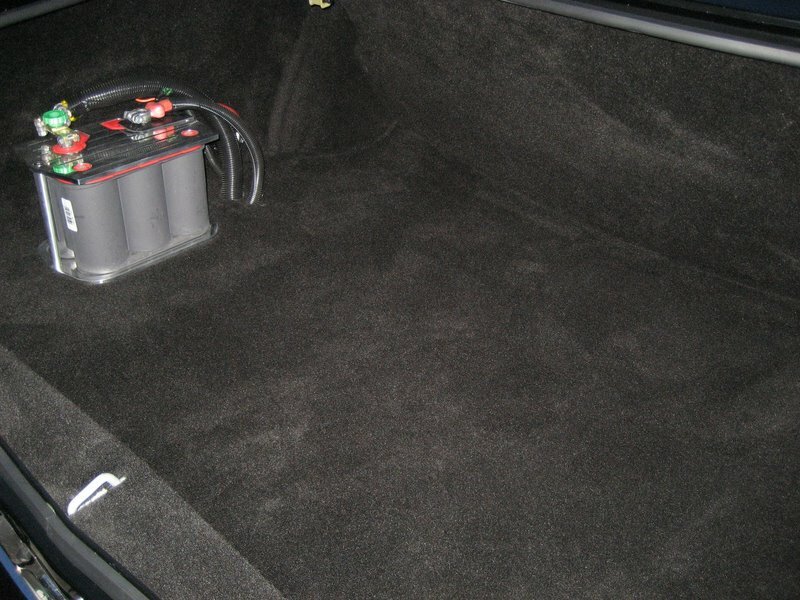 KENWOOD I POD AND CD STEREO, SPEAKERS AND 12” SUBS WITH AMPLIFIER FROM BEST BUY, HIDDEN IN THE DASH AND REAR PACKAGE TRAY. 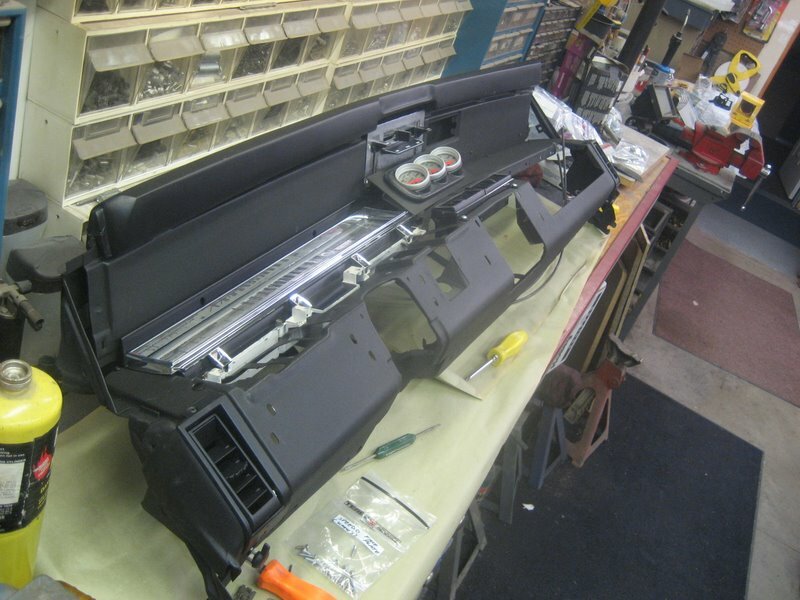 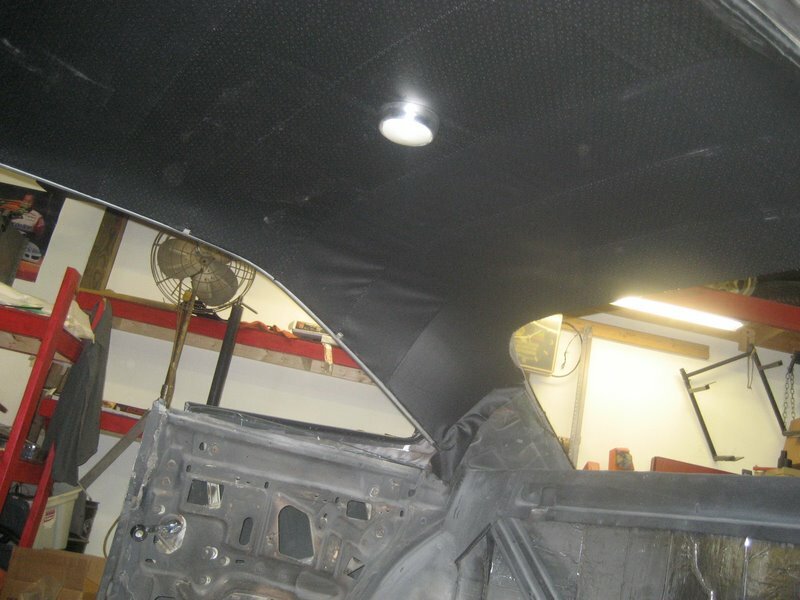 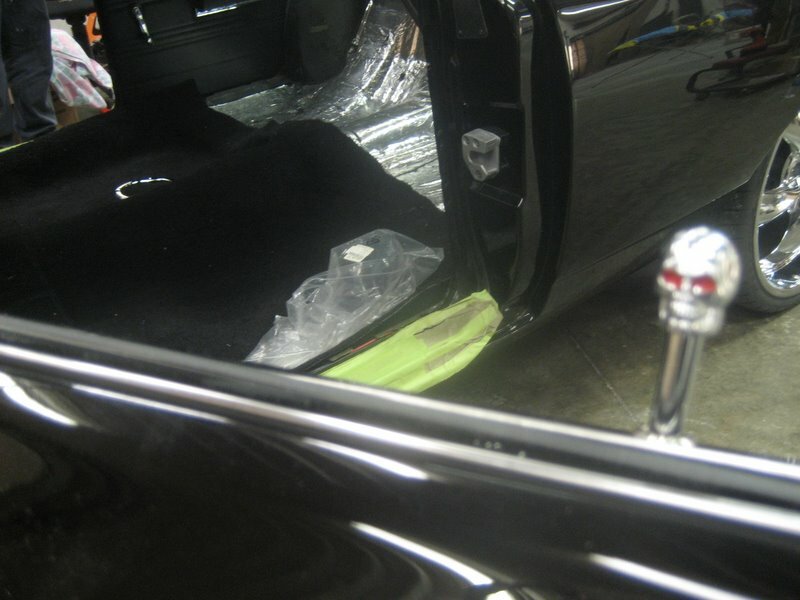 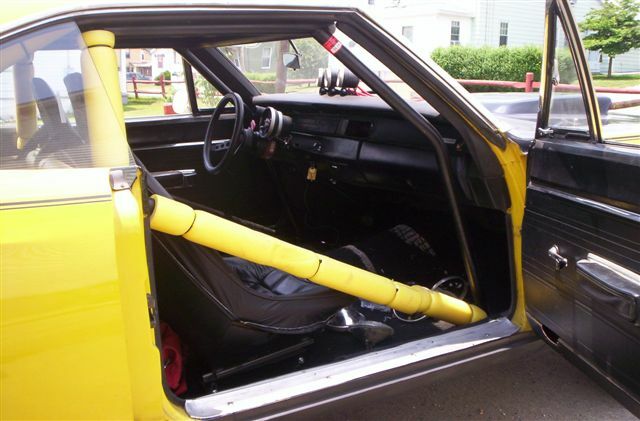 FULLY FUNCTIONAL AIR GRABBER ASSEMBLY AND CUSTOM FIT AIR CLEANER FROM B/E & A. 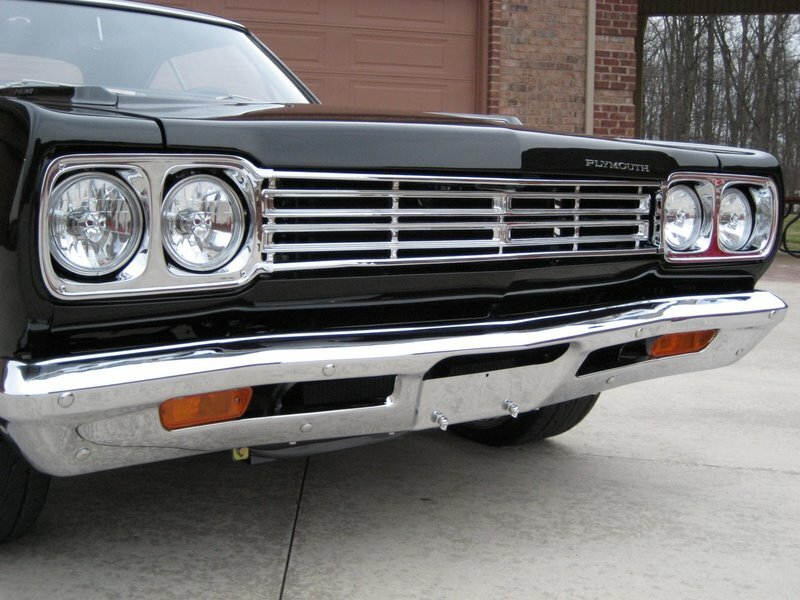 CUSTOM FRONT GRILLE AND HEADLIGHT ASSEMBLY CHROME PLATED BY RECKON PLATING WITH DIAMOND CUT CONVERSION HEADLAMPS FROM CAROLINA CLASSIC TRUCKS. 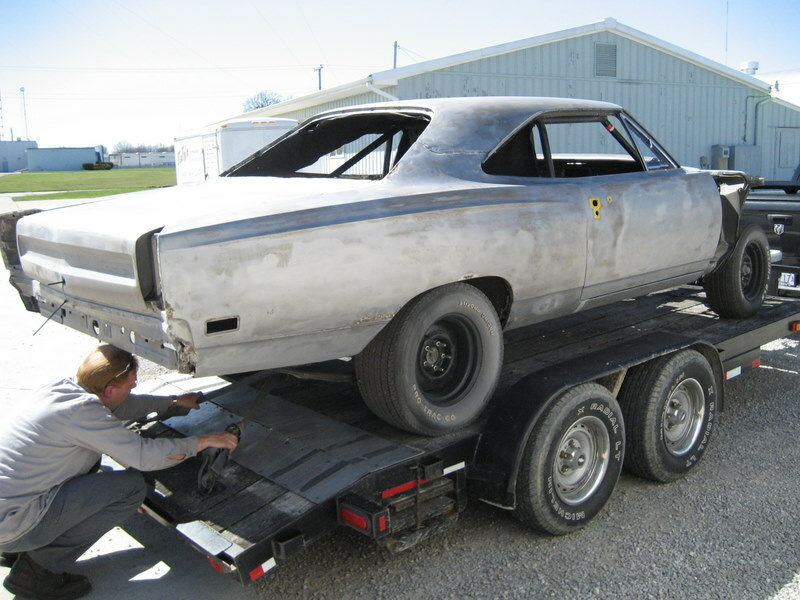 CHRIS GEARY, LARRY KNAPP, MIKE HAMMOND, FOR THIER EFFORTS IN THE BUILD OF THIS AWESOME CAR !